Odigo was the Israeli messaging system that warned Israelis that "something big was going to happen" on 9-11 - several hours before the attacks. These warnings were precise to the minute and evidently saved the lives of many of the 4,000 Israelis who were expected to be at or near the World Trade Center on the morning of September 11, 2001. For more on the criminals behind Odigo read "The Forewarning of 9-11 & the Israeli Fugitive". Question: Several of us are interested in finding the original Jerusalem Post article that says 4,000 Israelis were "in the areas of the WTC and the Pentagon at the time of the attack," to see exactly how it reads and who the author is. Do you have a copy of this original article? Nowhere in our reporting of that day did the Post publish anything of the kind. A story in our internet edition did say that the Israeli foreign ministry had collected the names of 4,000 Israelis believed to have been in the areas of the World Trade Centre and the Pentagon at the time of the attack. Whether this story was the origin of the rumour, I cannot say. What I can say is that there was no mistake in our reporting. Question: I’ve also not located your references for concluding that only one or three Israelis died at the WTC and Pentagon on 9/11. At first blush, that claim sounds rather improbable and/or difficult to verify, and therefore I would like to see a reliable reference and corroboration for that claim before I’d be comfortable repeating it. Answer: Watch the following 3-minute video of Benjamin Netanyahu and his wife getting a tour of the Israeli-designed 9-11 memorial by Mayor Bloomberg as it was being built. The discussion about the three Israelis who died at the WTC begins at 2:11 and goes on for over a minute. At 3:15, the claim is clearly made that four Israelis in total died on 9-11: three at the WTC and one on an airplane. YouTube video - "PM Netanyahu & PM's wife Sarah, visited Ground Zero"
Question: I believe one of your points was that Odigo might have been used to warn about 4,000 Israelis who worked around the WTC and Pentagon, although as you say the FBI apparently never completed an investigation into this question. It would be appreciated if you would clarify these facts and claims and your sources. Answer: I discuss the Odigo warning messages – sent several hours before the attacks – in several places in my book, Solving 9-11: The Deception that Changed the World. The point that I Iogically conclude from the reports of the five dancing Israelis and the Odigo messages warning of the attacks at the World Trade Center is that they constitute prima facie evidence of Israeli prior knowledge of the bombings at the WTC. These were the two first things that led me consider the hypothesis that Israeli intelligence had prior knowledge of the 9-11 attacks. Here are the extracts concerning Odigo found in Solving 9-11: The Deception that Changed the World. I think these extracts are very clear about the Odigo messages and what they tell us about Israeli prior knowledge of the attacks. In the first days and weeks after 9-11, I paid very close attention to the large number of Israeli terror suspects arrested, which was more than two hundred by November 2001, and investigated the published reports that an Israeli instant text message service had been used to warn Israelis of the attacks in New York - hours before they occurred. Many Israelis were evidently forewarned of the attacks through an Israeli instant messaging service called Odigo. This story, which presents the clearest evidence of Israeli prior knowledge of the attacks, was reported only very briefly in the U.S. media – and then forgotten. Two weeks after 9-11, Alex Diamandis, Odigo's vice president, said, "The messages said something big was going to happen in a certain amount of time, and it did – almost to the minute." "It was possible that the attack warning was broadcast to other Odigo members, but the company has not received reports of other recipients of the message," Diamandis said. Four thousand Israelis were expected to have been working at the World Trade Center on 9-11, yet only one was reported to have died at the complex. Based on the Israeli government figure that 4,000 Israelis were expected to have been at the World Trade Center at the time of the attacks, it seems evident that many Israeli Odigo users got the message of warning. Odigo, which offers real-time messaging, has a feature called "People Finder" which allows a user to send an instant message to a large group based on a common characteristic, such as Israeli nationality. "People Finder" allows Odigo users to search for online "buddies," with filters like Israeli nationality, while maintaining user privacy at all times. The message was probably sent in Hebrew. The Internet address of the sender of the warning was allegedly given to the FBI. 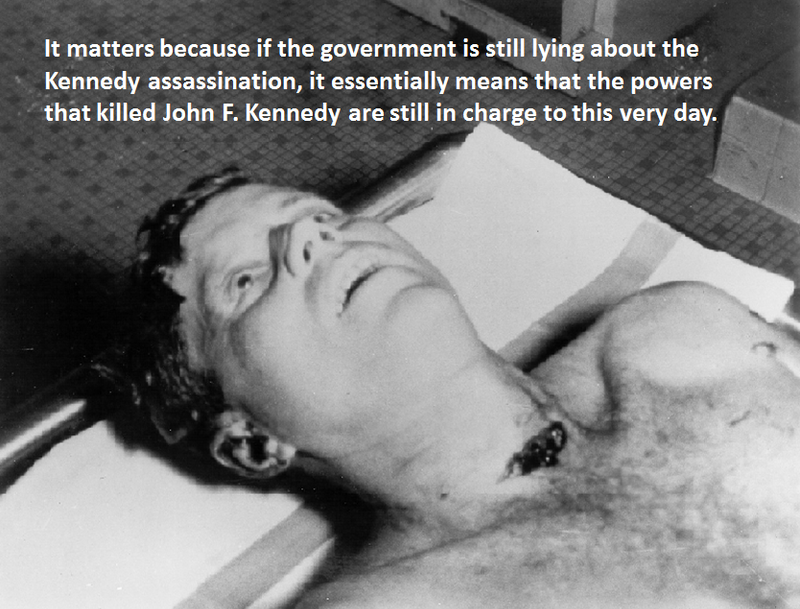 Two months later it was reported that the FBI was still investigating the matter. Since then there have been no further media reports about the Odigo warning of 9/11. These two news stories about the fake Israeli "movers" and the Odigo messages, which clearly indicated that some Israelis had very specific prior knowledge of the attacks, were published in American and Israeli newspapers shortly after 9-11. Had the recipients of these Odigo instant messages contacted the New York police department, thousands of lives could have been saved. 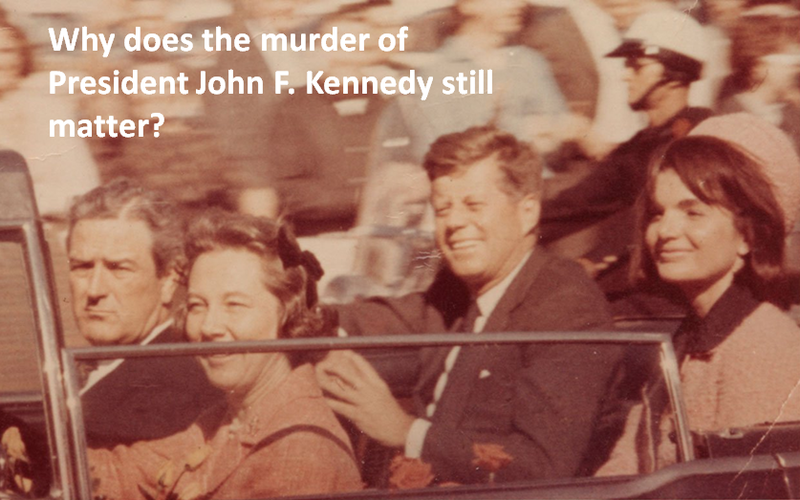 The question that has not been asked is, why didn't they? From: "9-11 Through the Eyes of an American Skeptic"
The text message warnings of the attacks sent over the Mossad-controlled Odigo instant messaging system several hours prior to the attacks are further evidence of Israeli prior knowledge. Instant messages warning of the attack at the WTC, predicting the event to the precise minute, sent via the Mossad-owned Odigo messaging system hours before the first plane hit the North Tower, are further evidence that members of Israeli intelligence agencies had very specific and accurate knowledge of the terror attacks – long before they occurred. I have been asking questions about Israeli involvement in 9/11 since September 2001 because of the evidence of prior knowledge shown by the five dancing Israelis and the warning messages sent on the Odigo messaging network. Likewise, the reports of the Odigo text message warning of the attacks at the World Trade Center were dropped into the media's memory hole. The message of warning, sent two hours before it occurred and precise to the minute, was sent via the Israeli-owned Odigo text messaging service and had been received by Odigo employees in Israel. Although the story was reported in the Israeli press and picked up by Brian McWilliams of Newsbytes on September 27, 2001, it was never followed-up and discussed by the major news networks. The government-funded reports on the destruction of the World Trade Center claim that the towers collapsed due to progressive structural failure caused by fire, yet fail to explain the most obvious observations, such as what caused the explosive demolitions that thrust, with great force, heavy steel columns and pulverized concrete laterally? Nor can the official explanation even begin to account for the incredible amount of energy needed to pulverize the 220 acre-size floors of concrete - and everything on them. ...or what fueled the incredible hot spots that burned beneath the rubble until Christmas 2001. The discovery of remnants of an explosive form of super-thermite in the dust of the World Trade Center is solid evidence that state-of-the art novel energetic materials were used to destroy the Twin Towers. Having a grasp of what super-thermite is and what it can do will enable us to make sense of the unexplained observations of what happened when the towers were demolished – with thousands of people trapped inside. 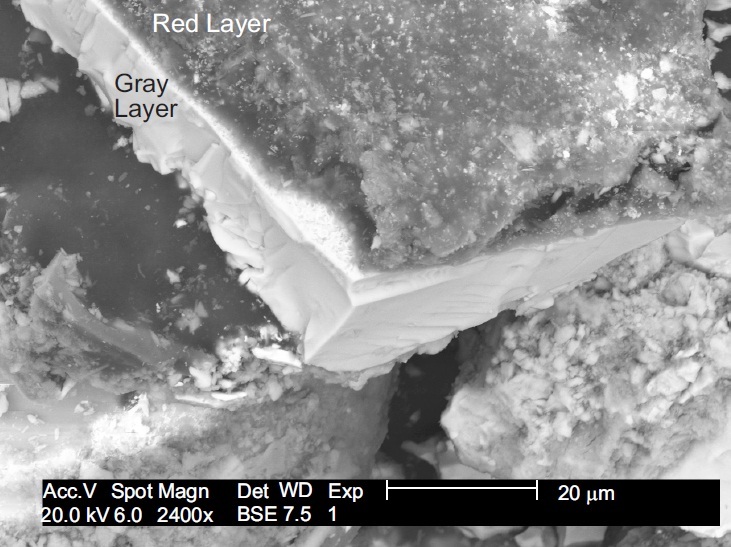 The bi-layered red-gray energetic material found in the dust of the World Trade Center was a state-of-the-art nanocomposite that combined ultra-fine thermitic reactants with organic ingredients to produce the incredible heat, molten metal, and explosive effect seen when the Twin Towers were demolished. The terror atrocity of September 11, 2001, is a peculiar event in modern history. One of the most peculiar aspects is that although the explosive demolition of the Twin Towers remains wholly unexplained, it also remains largely ignored by the scientific community. The negligence on the part of America's scientific institutions to examine the evidence to determine what really caused the destruction of the towers, a terror atrocity in which some 2,606 people perished, continues in spite of the fact that the government-sponsored reports openly admit that they cannot explain what was observed when the World Trade Center was destroyed. The discovery of a nanocomposite of super-thermite in the dust of the destroyed towers, on the other hand, does explain the unexplained observations of what happened to the Twin Towers on 9-11. 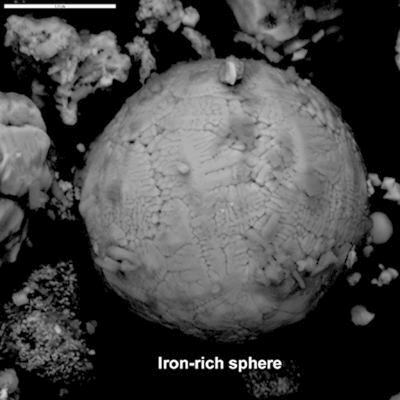 The presence of such energetic nanocomposites can explain the explosions that pulverized the towers and the presence of billions of tiny balls of molten iron and other metals found in the dust. Furthermore, super-thermite explains the extremely hot chemical reactions that burned beneath the rubble for three months after 9-11. 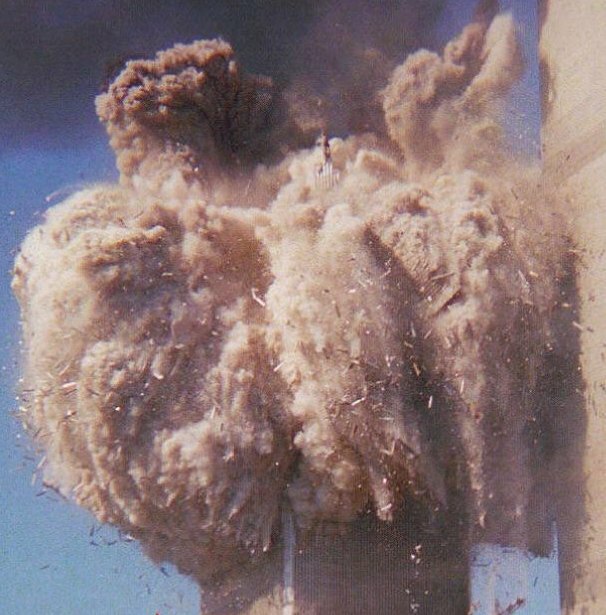 These are three crucial observations about the demolition of the Twin Towers that the government–funded studies fail to explain yet which can be explained by the evidence of super-thermite found in the dust. A bluish smoke, heavily laden with toxic nanoparticles created by extremely hot chemical reactions, rose from the pile until Christmas 2001. Despite being continuously doused with firehoses, these incredibly hot "fires" burned for more than three months beneath the pile. What kind of fire burns so hot in an oxygen-starved environment? "The color of the plume was all wrong. It was a light blue. My background is atmospheric physics, and the color of the plume tells me a lot. A light blue plume means very fine particles. Clearly, the pile was still hot and was giving off very fine particles." 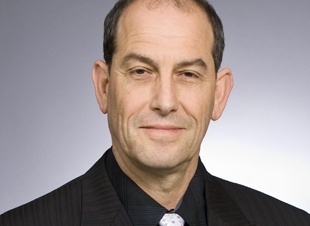 On April 16, 2015, when Richard Gage of Architects and Engineers for 9-11 Truth spoke at the Technical University (TU) in Delft, Holland, I noted that two of the first questions from the audience were about Judy Wood and Dimitri Khalezov, two disinformation agents who have promoted fraudulent “red herring” theories about what caused the destruction of the Twin Towers on 9-11. The fact that these questions were raised suggests that disinformation agents had been activated in Delft to try to confuse the public about what had really happened on 9-11. Seeing as TU Delft is a leader in the field of nanotechnology, I was disappointed that there was no discussion of the discovery of super-thermite in the dust of the World Trade Center. This crucial discovery, which effectively demolished the official version as a plausible explanation, was published in a peer-reviewed scientific journal in 2009 (see “Active Thermitic Material Discovered in Dust from the 9/11 World Trade Center Catastrophe,” Steven E. Jones, et al). The hostile reaction to the discovery of super-thermite in the dust revealed that this discovery was not supposed to happen. When it did, an aggressive campaign to promote unproven and wacky theories, such as those of Judy Wood and Dimitri Khalezov, kicked into high gear to confuse the public about what the discovery of super-thermite means. At the same time, people who were involved in the public discussion of the evidence of super-thermite, such as Dr. Steven E. Jones and myself, were personally targeted and attacked. Dr. Jones and I were both slandered and attacked within a three-week period in August-September 2006 and subsequently removed from our main income-earning positions. 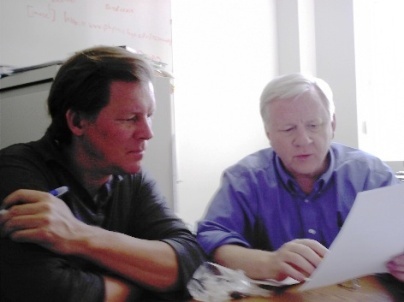 Christopher Bollyn and Dr. Steven E. Jones discussing the evidence of thermite in the destruction of the World Trade Center, a few months before we were both attacked and slandered. The fact that super-thermite is not well understood by most people makes it easy for disinformation agents to create confusion. Super-thermite is, after all, something that has only been developed since the 1990s, which means that there is very little public awareness of what it is. The purpose of this article is to provide some basic information, taken from the growing body of scientific literature on the subject, to help explain what super-thermite is and to give the reader a better grasp of how it was used to destroy the Twin Towers on 9-11. First, let me address some of the disinformation. During my recent tour in the United States I was able to peruse Judy Wood's book, Where Did the Towers Go? Evidence of Directed Free-energy Technology on 9/11. Ms Wood's book presents a very flawed and incomplete discussion of thermite and does not even begin to discuss the incredible properties of nano-thermite, a novel energetic material that was discovered in the dust of the World Trade Center. Furthermore, her book contains an obvious falsehood when she states that the destruction of the Twin Towers was a "cold" event. This statement, made in the introduction of the book and repeated in its conclusion, is demonstrably false. The idea that the demolition of the Twin Towers was a "cold" event is preposterous and easily disproven by the evidence. 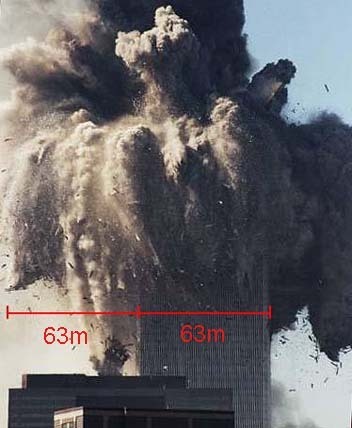 Large amounts of molten metal, for example, presumed to be iron at about 1,538 degrees C (2,800 F), were seen cascading from the South Tower minutes before it “collapsed” in what certainly appeared to be a highly-energetic and explosive demolition. The demolition of the Twin Towers evidently involved a process in which billions of tiny microscopic molten droplets of a variety of metals were created, including iron, lead, and molybdenum. Tiny balls of molten iron and lead are signature characteristics of the dust from the destruction of the Twin Towers. Tiny spheres of molten molybdenum were also found in the dust. Given the fact that molybdenum has an extremely high melting point (2,623 C or 4,753 F) it is impossible to imagine how a tiny drop of molybdenum was created, according to the official explanation of events. 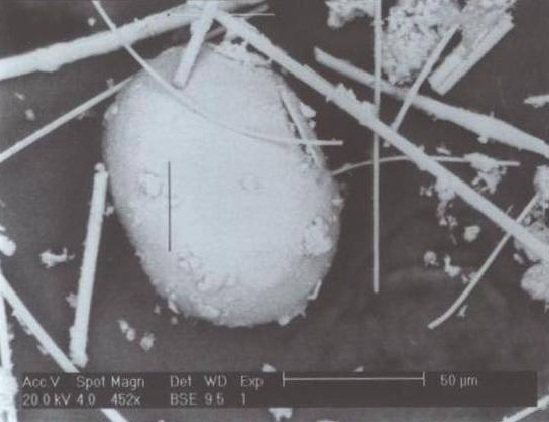 If, however, a thermitic material containing molybdenum trioxide, one of the most highly energetic forms of super-thermite, was used in the demolition, many molybdenum spheroids like this one would have been produced. Knowing that the smallest molten droplets (i.e. 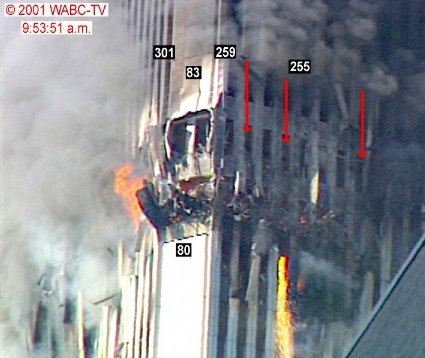 ultra-fine or nano-size particles) of metal found in the dust (and the smoke) were created in chemical processes that reached temperatures hotter than the boiling point of the metal involved, Wood’s statement that the demolition of the Twin Towers was “cold” is shown to be utterly false, leaving her theory without a leg to stand on. In the face of solid scientific evidence that the demolitions were in fact extremely hot events, why would Ms Wood even venture to make the absurd claim that the destruction of the Twin Towers was a "cold" event? Well, my friends, this is how disinformation works. The purpose of disinformation is to confuse the public by mixing good information with bad. This leaves it for the individual reader to determine for themselves what is true and verifiable, and what is not. When one realizes, therefore, that Judy Wood's "theory" that 9-11 was a "cold" event is based on a blatant lie that is easily disproven then her whole theory collapses. It's that simple – it's a fraud – a red herring that is designed to confuse the public about what really happened on 9-11. Likewise, the nuclear theory being pushed by Dimitri Khazelov and others is just as ludicrous. Last year, for example, Gordon Duff of Veterans Today claimed that a blast from a nuclear device buried deep beneath the bedrock of Manhattan had been funneled up through the core section of the North Tower and that this blast caused the huge communications mast atop the tower to be vaporized. I promptly responded to Mr. Duff, in an article entitled "Gordon Duff: 9-11 Disinfo Toad," in which I explained that this statement cannot be true given the fact that a large section of the mast is on display in the Newseum in Washington, D.C. As they say, lies have short legs. What we need to understand is that the real purpose of disinformation is to muddy the water and confuse people about what the evidence truly does show: that the Twin Towers were destroyed and pulverized with extremely powerful and sophisticated forms of super-thermite. In order to understand how that was done, we need to understand the basics of what super-thermite is and what it can do. Super-thermite refers to a nanocomposite material in which ultra-fine components of a form of thermite are combined on an almost molecular level. So, what is thermite? A thermite reaction (sometimes called a “Goldschmidt reaction”) refers to a very exothermic [heat producing] process occurring between a metal oxide and a more active pure metal. The more reactive metal reduces the metal oxide, oxidizing itself and releasing a substantial amount of energy during the reaction. Generally, thermite is made by mixing iron oxide [rust] and aluminum powder and igniting it at very high temperatures (a few thousand degrees). The reaction releases so much energy, molten iron metal is produced as one of the products. So, a thermite reaction creates incredible heat and produces the pure molten metal from the metal oxide. The aluminum, on the other hand, becomes aluminum oxide, a white smoke that disappears in the wind. A great deal of white smoke was observed coming from the Twin Towers before and during the collapses. The government report (FEMA/BPAT) provides the exact times that bursts of white smoke appeared and notes that these bursts always preceded an increase in the flow of molten metal falling from the South Tower. This observation is precisely what one would expect to see from a thermitic reaction going on inside the tower. Thermite-type reactions on the nanoscale have been called many names including nanothermites, metastable intermolecular composites (MICs), or superthermites. The phrase “nanothermites” comes from the particle sizes used in these energetic mixtures, in contrast to the more familiar thermite type reaction in which the particle sizes are in the order of microns. The term “metastable intermolecular composites” comes from the fact that the mixtures of metal oxide and aluminum are stable up to their ignition temperature, at which point self-propagating high-temperature synthesis (SHS) occurs and the thermodynamic products of a metal and aluminum oxide are produced. Finally, the term “superthermite” comes from the fact that thermites composed of nano-sized materials exhibit very different combustion characteristics when compared to those mixed with micron-sized precursors. Superior combustion velocities, and explosive behavior compared to the usual observed deflagration often characterize thermites made with nanoscale precursors. 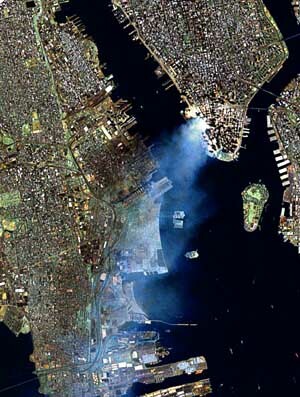 The Jones paper of 2009, which documented the discovery of super-thermite in the dust of the destroyed World Trade Center, concluded: “…the red layer of the red/gray chips we have discovered in the WTC dust is active, unreacted thermitic material, incorporating nanotechnology, and is a highly energetic pyrotechnic or explosive material." This thermitic material had been made by combining the components, which have been reduced to nano-size (or ultra-fine) particle sizes, and arranging them so that the reactant particles were placed next to each other on a scale just short of molecular. This means that the reaction is much faster and more powerful than when the reactants are combined on the granular level, for example with particle sizes similar to sand. The 2010 paper on nanoscale aluminum found that nanothermites made from copper oxide (CuO) and aluminum (Al) reached the highest combustion velocities known for a mixture of metal oxide and aluminum. Using aluminum-coated copper nano-rods, a thermite with the highest combustion velocity of 2,400 meters/second was created. This is about 7 times the speed of sound (340 m/s), which means that material detonates like an explosive. “The high combustion velocity is in the range of explosive velocities, so the CuO/Al thermite may have application as a primary explosive,” the authors concluded. A sol-gel (aerogel) made from iron oxide and aluminum (Fe2O3/Al) had a combustion velocity of 895 m/s, more than twice the speed of sound, according to the same paper. Sol-gel chemistry involves the reactions of chemicals in solution to produce nanometer-size particles called sols. These sols are linked together to form a three-dimensional solid network or skeleton called a gel, with the remaining solution residing in the open pores of the gel. 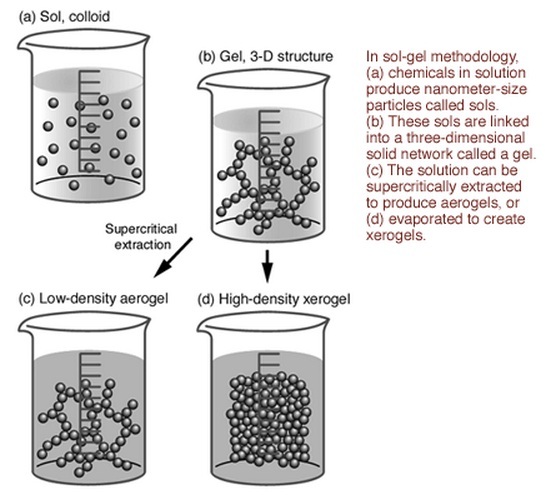 The solution can then be supercritically extracted to produce aerogels (highly porous, lightweight solids) or evaporated to create xerogels (denser porous solids). A 1995 paper on the “Oxidation Behavior of Aluminum Nanopowders” (Aumann, et al.) found that a thermitic compound of aluminum and molybdenum trioxide powder mixtures with average particle sizes of 20-50 nanometers (nm) could react1,000 times faster than conventional powdered thermite. As the Jones’ paper notes: “Commercially available thermite behaves as an incendiary when ignited, but when the ingredients are ultra-fine grain (UFG) and are intimately mixed, this “nano-thermite” reacts very rapidly, even explosively, and is sometimes referred to as “super-thermite”. Phenomenological burn observations indicate that the organic functionalized Fe/Si mixed oxide nanocomposites burn very rapidly and violently, essentially to completion, with the generation of significant amounts of gas... The still image of the energetic nanocomposite without organic functionalization exhibits rapid ignition and emission of light and heat. The still image of the energetic nanocomposite with organic functionalization also exhibits these characteristics, but it also exhibits hot particle ejection due to the production of gas upon ignition. This reaction is very exothermic and results in the production of very high temperatures, intense light, and pressure from the generation of the gaseous byproducts resulting from the decomposition of the organic moieties. Overall though, certain key MIC characteristics are very attractive and quite promising for practical applications. These include energy output that is 2x that of typical high explosives, the ability to tune the reactive power (10 KW/cc to 10 GW/cc), tunable reaction front velocities of 0.1-1,500 meters/sec., and reaction zone temperature exceeding 3,000 K.
The thermite composed of aluminum and molybdenum trioxide is noteworthy because of the tiny spheroid of molybdenum that was found in the dust of the destroyed World Trade Center. The molybdenum spheroid also contained “significant concentrations of aluminum, oxygen, and calcium,” which indicates that it may very well have been the product of a thermitic reaction involving aluminum and molybdenum trioxide. Given the fact that molybdenum has an extremely high melting point (2,623 C or 4,753 F) it is very hard to imagine how a tiny drop of molybdenum could have been created according to the official explanation of the conflagration of the Twin Towers. The use of a form of thermite containing molybdenum trioxide, however, one of the most highly energetic thermites, could explain how the spheroid was formed. 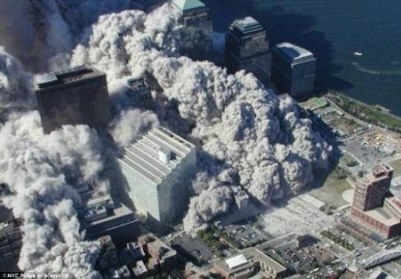 If the tiny spheroid of molybdenum found in the dust was the product of a thermitic reaction of Al/MoO3, the reaction that created it must have reached the boiling point of molybdenum, about 4,639 C or ​8,382 F. The dust of the demolished towers also contains large amounts of ultra-fine spheres of iron and lead. Because these spheres must have been created by reactions hotter than the boiling points of these metals (2,862 C for iron and 1,750 C for lead), we have some idea of how hot the demolition of the towers must have been. Tons of molten metal poured off the 81st floor of the South Tower for several minutes before it collapsed at 9:59 a.m. on 9-11. The official version has no explanation for this observation. 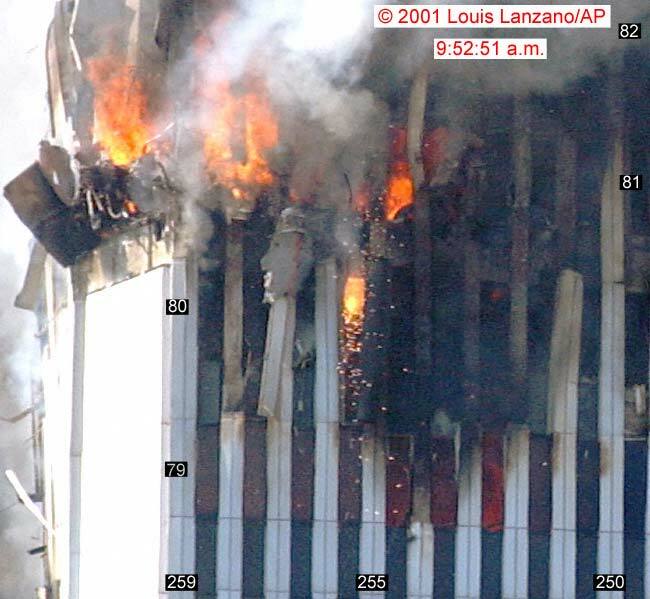 The incredibly hot temperatures produced by thermitic reactions are most likely what created the molten metal, presumed to be iron, that was seen falling from the 81st (or 82nd) floor of the South Tower for about 10 minutes before the tower collapsed. The reaction that produced the molten metal generated extremely intense heat, which would have created intolerable conditions for the people who were trapped in the tower above that floor. The incredible heat was literally roasting the people who were trapped above the crash zones, which is why so many people chose to jump. The molten metal that fell from the east corner of the South Tower created one of the hotspots that persisted beneath the pile, although there were several others. I was told that molten iron was found under the core sections of the towers, by the elevator shafts - in the molten state - weeks after 9-11, when the debris removal process reached the bedrock of Manhattan. Some people point to photographs showing melted granite as proof of nuclear bombs, but it should be remembered that granite melts at about 1,215-1,260 C, about half the temperature of a basic thermitic reaction involving iron oxide and aluminum. The intense hotspots that burned beneath the rubble also created ultra-fine particles that were found in large quantities in the blue smoke that rose from the pile. In order for these very small particles to have been produced the hotspots must have been hotter than the boiling point of the element, as Dr. Thomas Cahill of the DELTA Group told me at U.C. Davis in 2006. The boiling points of the metal aerosols found in the smoke are indeed hotter than the melting temperature of granite so we should expect to find melted granite where these hotspots met the bedrock of Manhattan. These are some of the basic points about super-thermite that should help explain the unexplained observations seen during and after the demolition of the Twin Towers. While these novel energetic materials were not well understood by the public in 2001, they will certainly be discussed more in the future, particularly as their role in the destruction of the Twin Towers becomes understood by more people in the scientific community. In late 2005, NIST, a sub-agency of the Department of Commerce, issued a fraudulent report to support the criminal cover-up of what really caused the "collapses" of the Twin Towers on 9-11. At the time, the person who controlled NIST was William Alan Jeffrey. DECEPTION RUNS IN THE FAMILY - William Alan Jeffrey was director of NIST when it issued its criminally fraudulent document on the "collapse" of the Twin Towers. Jeffrey's Russian-Jewish father, Alan Samuel JAFFE, changed his surname to Jeffrey - after he married - to conceal his Jewish roots. Now, why would a person do that? Barbara Honegger thought that I would be interested to see the 'guidelines', which she said were written by the person who answers web queries that come to Architects and Engineers for 9-11 Truth about Israeli/Jewish/Mossad/Zionist involvement in the false-flag terror attacks of 9-11. As Honneger noted, Noël takes the position that such questions are a 'distraction'. I have always supported the idea that Architects and Engineers for 9-11 Truth should stick to their field of expertise and avoid getting into the sticky questions of who did it. The fact is that this organization has done fantastic work proving that the official version of what happened to the Twin Towers is false, all the while staying on thick ice – within their field of expertise. That is commendable and is, most importantly, a position that can be easily defended. 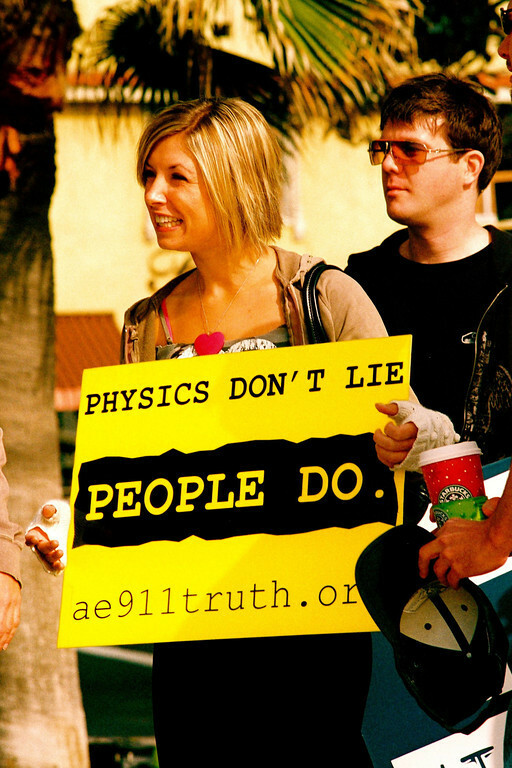 Dan Noël goes on to say, “AE911Truth is not afraid of pointing fingers: to Dr. 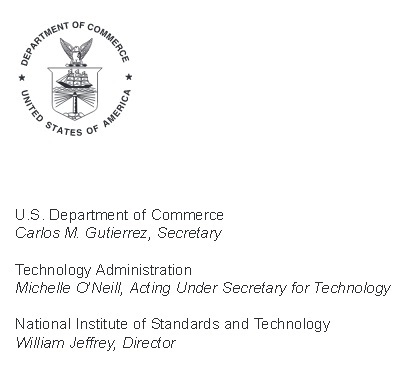 Gross & Dr. Sunder, who led the U.S. National Institute of Standards and Technology's fraudulent technical investigations…” This is where I took my cue. Dr. John L. Gross and Sivaraj Shyam-Sunder are, obviously, the two frontmen for the NIST final report on the collapse of the Twin Towers, which was finally released in late 2005. Surely any architect can understand that Gross and Shyam-Sunder are simply the sub-contractors who were paid their thirty pieces of silver to construct a false report and sign off on it, as they were instructed to by the chief architect, in this case, their boss – the director of NIST, William Alan Jeffrey. Sunder and Gross are, like Judas Iscariot, in the most unenviable position of having sold out their nation - and the truth - for thirty bits of silver. 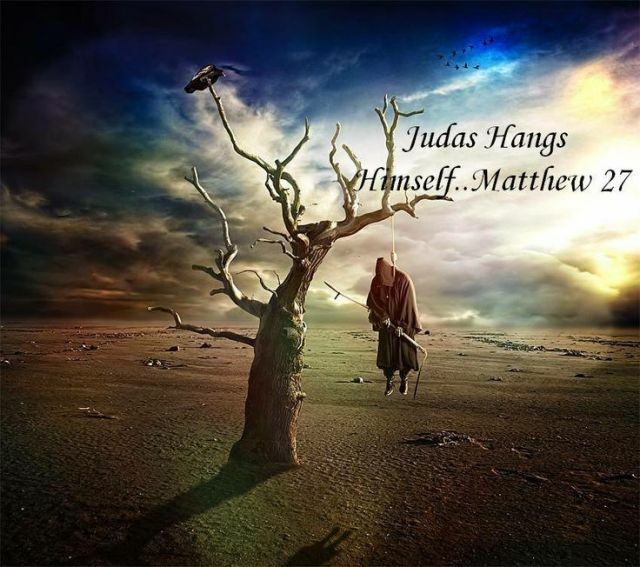 Judas betrayed the Truth for thirty pieces of silver. This is the bitter end for all traitors. This is the way the federal bureaucracy works, after all. The people who work in the federal agencies stick to the guidelines they are given by their directors. They all labor under the knowledge that if they don’t do exactly as they are told they will lose their jobs, and in some cases, their ability to earn an income in the United States. My thesis about 9-11, as presented in the Solving 9-11 set of books, is that 9-11 was a massive Israeli/Zionist/Jewish/Mossad false-flag terror attack, designed to kick-start the Zionist fraud known as the “War on Terror” and change America - and the way Americans think about the Middle East. I have found that at every critical point in the 9-11 saga one finds an Israeli or a Zionist agent taking the action that was needed for the fraud to succeed. Dan Noël’s comment, “AE911Truth is not afraid of pointing fingers: to Dr. Gross & Dr. Sunder” compelled me to dig a bit under that rock to show that, indeed, we are dealing with a Jewish/Zionist conspiracy – even with the fraudulent NIST report. One would have to be very naïve to think that underlings like Shyam-Sunder, a new immigrant from India, or John Gross, actually made the executive decisions regarding the analysis presented in the final report on the collapse of the World Trade Center, the most disastrous and explosive event of the century. Sunder and Gross were, after all, working under the guidance of their director, William Alan Jeffrey. Since William A. Jeffrey is the NIST director behind the fraudulent report on the collapse of the World Trade Center, we need to know more about this person. Jeffrey is obviously a high-level agent in the 9-11 cover-up, which means he is connected to the criminal cabal which is behind the crime itself. William Jeffrey was nominated by George W. Bush to head NIST on May 25, 2005, and was confirmed by the Senate on July 22, 2005. He became director of NIST at exactly the time when the report on the collapse of the Twin Towers was being crafted for publication. One needs to understand that the NIST report on the collapse of the Twin Towers is a complete and criminal fraud on the American people; that much is abundantly clear. That means that the appointed officials, like Jeffrey, and other people behind this massive fraud should face prosecution and punishment for treason. In order for my thesis to be consistent, William Jeffrey, the person behind NIST's fraudulent report, should be connected to the Jewish/Zionist criminal cabal that controls the U.S. government. So, does he? Dr. William A. Jeffrey, also known as Bill, Ph.D. has been the Chief Executive Officer and President at SRI International, Inc. (of Menlo Park, California, formerly known as the Stanford Research Institute) since September 1, 2014. Dr. Jeffrey served as the Chief Executive Officer and President of HRL Laboratories, LLC since September 2008. He served as the Director of the Science and Technology Division for the Institute for Defense Analyses (IDA) from 2007 to 2008. 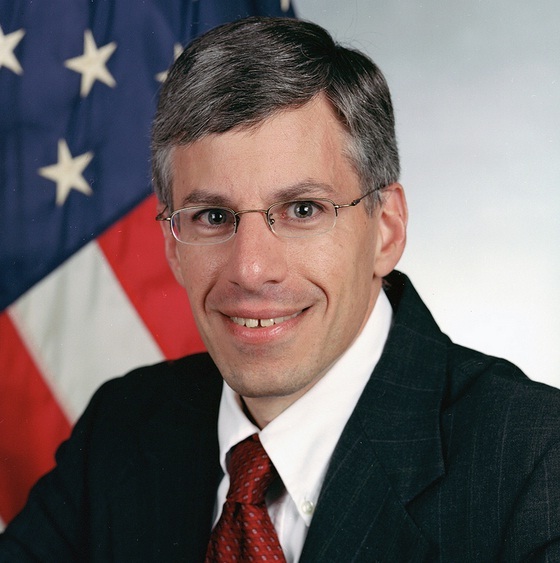 Prior to joining IDA, he served in the Bush Administration as the Director of the National Institute of Standards and Technology (NIST) within the Department of Commerce since 2005. From 2002 to 2005, he also served as a Senior Director for Homeland and National Security and the Assistant Director for Space and Aeronautics at the Office of Science and Technology Policy (OSTP) within the Executive Office of the President. Prior to OSTP, he served as the Deputy Director for the Advanced Technology Office and Chief Scientist for the Tactical Technology Office at the Defense Advanced Research Projects Agency (DARPA). While at DARPA, he developed research programs in communications, computer network security, novel sensor development, and space operations. Previously, Dr. Jeffrey served as the Assistant Deputy for Technology at the Defense Airborne Reconnaissance Office, where he supervised sensor development for the Predator and Global Hawk unmanned aerial vehicles and the development of common standards that allow for cross-service and cross-agency transfer of imagery and intelligence products. He began his career at the Institute for Defense Analyses in 1988. He serves as Director of HRL Laboratories, LLC. He has been a Director of TE Connectivity Ltd. since March 2012. He has been a Director at Tyco Electronics Corporation since March 2012. He serves as Chairman of the Director's Review Committee for Global Security at Lawrence Livermore National Laboratory. He is an elected Fellow of the American Physical Society, an elected Honorary Member of ISA, the recipient of the Secretary of Defense Medal for Outstanding Public Service and a 2008 recipient of the Navigator Award from the Potomac Institute for Policy Studies for his leadership in advancing science and technology policy. Dr. Jeffrey received his M.A. and Ph.D. in Astronomy from Harvard University and his B.Sc. in Physics from the Massachusetts Institute of Technology. When I looked into Mr. Jeffrey’s background I was intrigued by a couple things, apart from the fact that he seems connected to all the covert technology that was used on 9-11. First, that he was born in Arlington Heights, Illinois, which is very close to where I grew up, and secondly, that he has a very strange last name that makes no sense. Jeffrey is, of course, most often used as a first name, not a last name. I spent a couple days working on trying to make sense of this strange family name that just did not make sense. Finally, I found the answer: Jeffrey is not his real name. William Jeffrey’s father, the son of a Russian Jew, had changed his name from Alan Samuel Jaffe to Alan Samuel Jeffrey – after he married Helen Anna Engelking in Palm Beach, Florida, in 1952. Alan S. Jeffrey was Alan Samuel Jaffe when he married. Helen Anna Engelking in Palm Beach, Florida. They then moved to Arlington Heights, Illinois, and presented themselves as the devout Catholics, Alan S. Jeffrey and his wife Lynn(e) Ann. Their new names were so fake that they couldn't even keep the spelling straight! This is why there is so little information about William Jeffrey's father, “Alan S. Jeffrey”, and why his mother’s name was sometimes spelled “Lynn Ann” or “Lynne Ann” in the local papers in Chicago. It’s because they had taken on a new, non-Jewish identity, and posed as Catholics in the Northwest suburbs of Chicago. The New York Times, however, kept the Jewish names straight. This obituary for William A. Jeffrey's maternal grandfather shows that his mother's married name was Mrs. Helen Jaffe, not "Lynn Ann Jeffrey". So, why did Alan Jaffe act like a criminal on the run and go to such lengths to hide his Jewish identity? Then there is the most peculiar way that the young William A. Jeffrey was promoted very quickly, straight out of MIT, soon becoming a senior researcher in the defense community in Washington, D.C. This is the sign of secret support, often seen with foreign Jews with the right connections. William A. Jeffrey was then nominated to be the head of NIST at exactly the time that the agency was tasked with creating a document to support the official lie about what happened to the Twin Towers on 9-11. The fact that Jeffrey is the son of a Russian “crypto-Jew”, i.e. a Jew who wants to conceal his identity as a Jew, needs to be taken into consideration, especially given the fact that William Jeffrey was behind the official 9-11 cover-up and has long been engaged with exactly the high-tech military devices that were evidently used on 9-11. NIST, under its director William A. Jeffrey (formerly Jaffe), told the American people that the explosive demolition of the Twin Towers was a gravity collapse caused by fire. How can anyone with two brain cells working look at the images of the destruction of the towers and think it is a collapse caused by fire? "In my opinion, the WTC investigation by NIST falls short of expectations by not definitively finding cause, by not sufficiently linking recommendations of specificity to cause, by not fully invoking all of their authority to seek facts in the investigation, and by the guidance of government lawyers to deter rather than develop fact finding." - Professor James G. Quintiere, Fire Protection Engineering, University of Maryland, on the NIST investigation of the World Trade Center collapses, to the House Committee on Science, October 26, 2005. "No nano-thermite was ever produced… Did you ever find the factory that you believe made it? I can give you several reasons you didn’t. I believe that “nano-thermite” is the creation of disinformation agents… Do this: prove me wrong. Show me a nano-thermite factory. " As director of the National Institute of Standards and Technology (NIST), William A. Jeffrey managed the presentation of NIST’s final report on the collapse of the Twin Towers, a flagrant cover-up of what really happened when the towers were demolished – with some 2,606 people trapped inside. The NIST report crafted by Jeffrey fails to account for crucial observations, such as the large amounts of molten metal seen falling from the South Tower before it collapsed. One of NIST’s engineers even denied that molten metal had been found in the rubble, although firefighters and engineers testified as to having seen it. 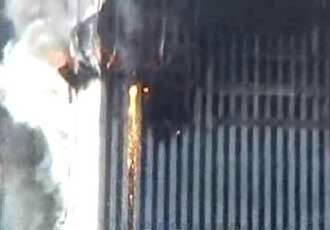 Tons of molten metal, presumed to be iron, were seen falling from the South Tower before it collapsed. Today, William Jeffrey is CEO of Stanford Research Institute (SRI) International, an organization that has a long history of developing and producing novel energetic materials, like that found in the dust of the World Trade Center. What is most peculiar about SRI International is that its laboratory that creates novel energetic and nanocomposite materials for the U.S. military is managed by an Israeli who has been with the organization since 1984. Yigal Dov Blum, an Israeli, is project manager and associate director of the Chemical Science and Technology Laboratory at SRI International where novel energetic materials and nanocomposite materials like that found in the dust of the destroyed World Trade Center are developed. 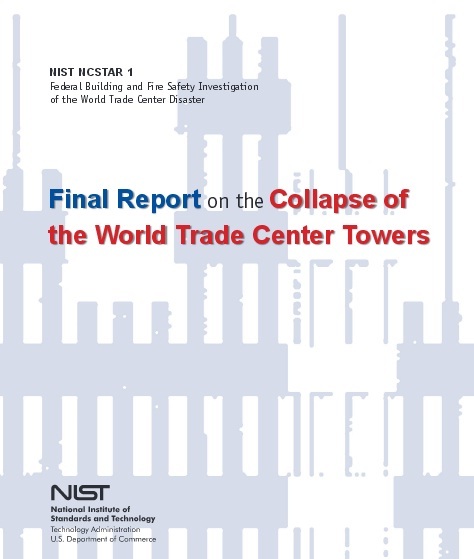 The 10,000-page Final Report on the Collapse of the World Trade Center Towerswas released on October 26, 2005, when William A. Jeffrey, director of NIST, appeared before the House Committee on Science. 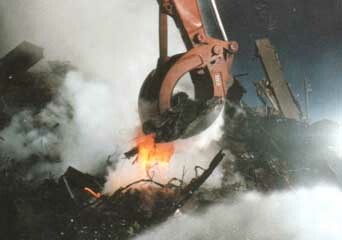 In my opinion, the WTC investigation by NIST falls short of expectations by not definitively finding cause, by not sufficiently linking recommendations of specificity to cause, by not fully invoking all of their authority to seek facts in the investigation, and by the guidance of government lawyers to deter rather than develop fact finding. Dr. Quintiere’s criticism of the NIST investigation points out its fundamental flaws. The NIST white-wash of the collapses of the Twin Towers is an essential part of the 9-11 cover-up because it is the official document that was meant to investigate the cause of the collapses, events or crimes that took the lives of some 2,600 people. But rather than honestly investigate and explain the observations, the NIST document (and the people who wrote it) denies the existence of evidence that is proven. One of the most egregious denials came from John L. Gross, one of the NIST engineers who worked on the final report. In the following video a very nervous Gross denies the existence of molten metal found beneath the rubble of the World Trade Center. Why would John Gross lie about the existence of molten metal in the rubble of the Twin Towers? He body language suggests he was forced to lie about something that was a proven fact because to admit its existence would have exposed that the official version of what happened to the World Trade Center is nothing but a pack of lies. He was probably also told by his boss, William Jeffrey, to lie about the molten metal. But to fabricate a false report, like the NIST document, about a crime in which 2,600 people were murdered is both criminal and treasonous. This means that the people who produced the document should be held accountable for this fraudulent report crafted at the taxpayers’ expense, starting from the person who was then director of NIST, William A. Jeffrey. William Alan Jeffrey was director of NIST when the final report on the collapses of the Twin Towers was released. Jeffrey has no defense for his treasonous crime. He certainly cannot claim to be ignorant of the scientific questions regarding the destruction of the Twin Towers. Prior to becoming director of NIST, Jeffrey’s 20-year career had been spent entirely in the U.S. government, mostly in high-level defense-related science and technology programs. His résumé shows that he had even served as chief scientist with DARPA’s Tactical Technology Office, so novel energetic materials like super-thermite would have been something that he was well aware of. Perhaps that is the real reason he was chosen to manage the final editing of the report on the collapses of the Twin Towers. 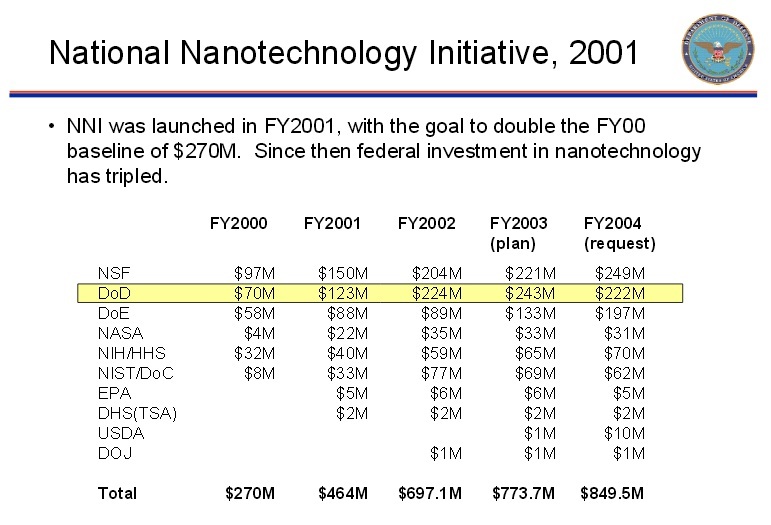 Federal spending on nanotechnology spiked in 2001 with the National Nanotechnology Initiative. 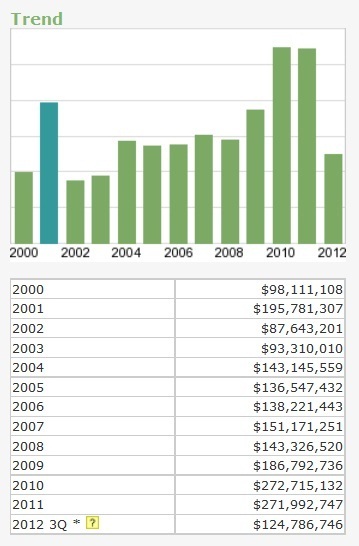 Federal spending at SRI International also spiked in 2001. Institute for Defense Analyses, 1988; technical analyst for the Department of Defense. 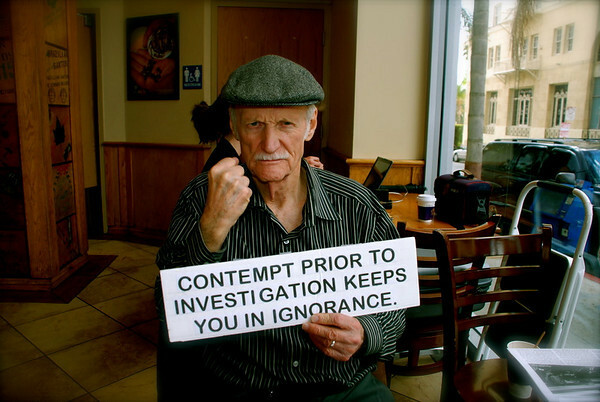 William Jeffrey’s experience shows that he cannot claim ignorance as a defense. Indeed, he has held high-level positions in the very agencies, like DARPA, who have led the way in developing and producing novel energetic materials, like the explosive thermitic nanocomposite that was found in the dust of the destroyed World Trade Center. This means that William Jeffrey knew exactly what he was doing when he managed the editing of the fraudulent final report on the collapses of the Twin Towers. He was obviously carrying out his given task to supervise the cover-up of the real cause of the destruction of the World Trade Center. Denying the existence of molten iron in the rubble was essential to protecting the fraudulent report he had produced. This raises the obvious question: Who is Jeffrey doing it for? By protecting the lies about what caused the destruction of the Twin Towers, Jeffrey is protecting the very people who actually destroyed the towers – and the 2,600 lives that were trapped within them. This means that he is working hand-in-hand with the criminal cabal behind the false-flag terror attacks of 9-11. Today, despite or because of his key role in the 9-11 cover-up, Jeffrey is the CEO of SRI International, near Stanford University in Menlo Park, California. Because he is obviously involved in the 9-11 cover-up, the fact that he is CEO of SRI International makes that organization suspect as well. Why would the board of SRI choose a person who has been engaged in the treasonous criminal cover-up of 9-11 as the CEO of their organization? Well, let’s look at what SRI International does. It is a tax-exempt non-profit that does most of its research and development for the U.S. government, primarily for the Department of Defense. Although it is a non-profit organization, it earned $4 billion in R&D revenues in the past decade and currently brings in more than $540 million annually. Developing energetic nanocomposites, like the one found in the dust of the Twin Towers, is a big part of the R&D that SRI International does for DARPA and the Department of Defense. 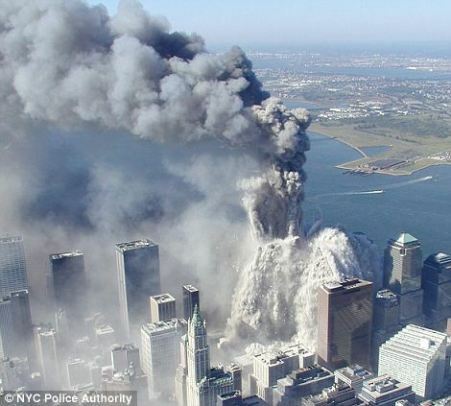 The nanocomposite found in the dust of the Twin Towers was a novel energetic material that was produced in a high-tech nano-lab, just like the ones SRI has in Menlo Park, Princeton, Largo, and elsewhere. The word novel here means an energetic material of a new kind or nature; hitherto unknown. This is exactly what was found in the dust of the destroyed towers, a hitherto unknown explosive bi-layered active thermitic nanocomposite that detonated at 430 degrees C.
The explosive bi-layered thermitic nanocomposite found in the dust of the destroyed World Trade Center. So, when Gordon Duff asks for me to show him a factory that makes super-thermite, I would show him the nano-tech laboratories at SRI International. 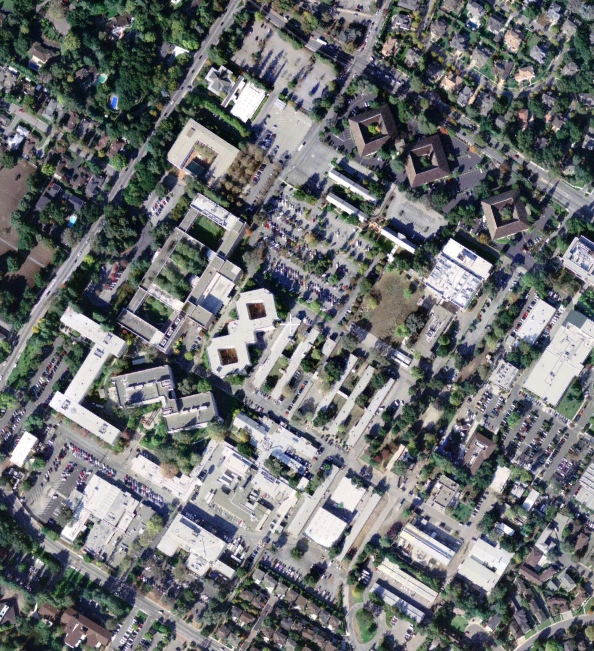 SRI International is based on a 63-acre campus in Menlo Park, California. This is, of course, not to say that SRI International made the explosive nanocomposite found in the dust of the World Trade Center, but it could have. SRI International, however, becomes a suspect when you consider that its CEO is William Jeffrey, the treasonous official who played a key role in the 9-11 cover-up by ignoring the abundant evidence of thermite and nano-thermite in the destruction of the Twin Towers. 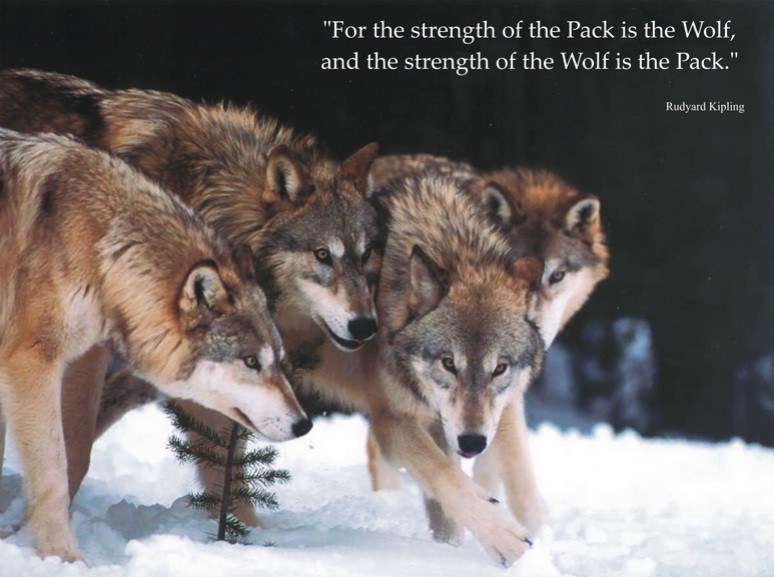 As they say, wolves run in packs. 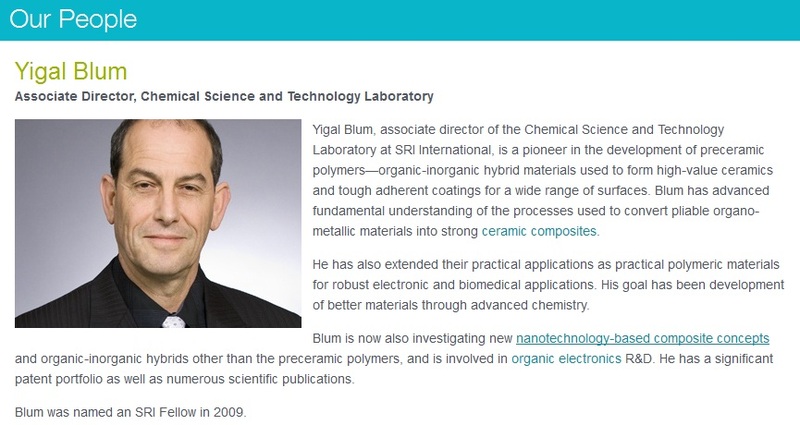 Furthermore, it is very interesting to note that although SRI does a great deal of highly-classified research for the U.S. military, an Israeli citizen named Yigal Blum is the Associate Director of its Chemical Science and Technology Laboratory, the department of SRI that produces nanocomposites. Blum has worked at SRI since 1984. Yigal Blum, an Israeli, is associate director and program manager at SRI's Chemical Science and Technology Laboratory, where he develops nanocomposites like the one found in the dust of the World Trade Center. At the top of the SRI organization we find Henry Kressel, the managing director of Warburg Pincus, LLC, a venture capital firm with strong Zionist roots. Kressel, a Jewish immigrant who grew up in the yeshivas of Brooklyn, has been on the board of directors of SRI International since shortly after 9-11. He was chairman of the board of Sarnoff Corporation, a wholly owned subsidiary of SRI when he was elected to the SRI board on October 16, 2001. His daughter, Kim, apparently takes the Zionist cause very seriously; she lives on the illegal Jewish settlement of Efrat on the West Bank and is married to a man named Efrat. Why do I mention these Israeli connections to SRI International? Because the evidence indicates that the false-flag terrorism of 9-11 and the subsequent cover-up of what really happened on 9-11 were carried out by agents of Israeli intelligence and rabid supporters of the Zionist cause. When I discovered that William Jeffrey’s father, who worked in the financial arena, had changed his name from Jaffe to hide his Russian-Jewish ethnicity, the question came up of whom Jeffrey was really serving when he carried out the 9-11 cover-up for NIST. If Zionist agents put super-thermite in the Twin Towers, we need to find out where the explosive material came from. When we look for the Zionist/Israeli connection at SRI International, we find that William Jeffrey, the CEO, is a crypto Jew, and that a key member of the board is a Talmud-thumping Zionist connected to the Warburg-Pincus fund. Most flagrant of all, however, is the fact that SRI’s department that creates nanocomposites is headed by an Israeli. SRI International is, therefore, a suspect in the 9-11 crime as either a contributor to the development of the explosive nanocomposite that pulverized the towers, or the producer of that material. 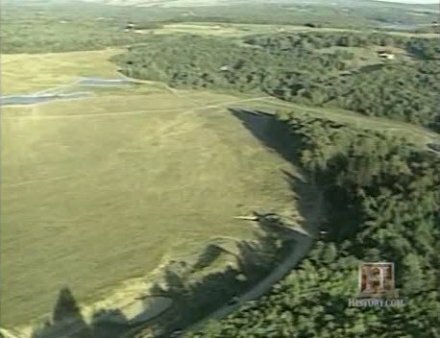 The real debris field of the aircraft said to be Flight 93 was not in the crater seen in the reclaimed mine but deep in the woods, where even its existence was kept secret from the public and only FBI personnel was allowed to go. I wanted to know why the existence of the real debris field deep in the woods had been kept hidden so I asked Reverend Hoover, "Why have you been quiet about what happened on your property on 9-11?" "We tried to cooperate," he said. I knew what he meant without pressing the point. The FBI agents had given similar orders all over Shanksville and Somerset County. The Hoovers had been asked not to talk about what had happened on 9-11. The public was told that the plane had crashed into the reclaimed mine while the real debris field was cleaned up in complete secrecy in the woods around the Hoover cabins. Why has the real debris field been kept secret? There can only be one explanation: the truth about what happened to Flight 93 could not be revealed to the public. The evidence indicates that Flight 93 was shot out of the sky with a blast that sounded like "an atomic bomb," as one witness told me. The following two-minute video contains rarely seen footage of the real debris field of the plane that is said to have been Flight 93 that went down near Shanksville. The first 75 seconds of the video contains the most interesting footage, taken from a helicopter, of the debris field that was hundreds of yards inside the forest, far from the small crater in the reclaimed mine, where we were told the plane crashed. The second part of the video discusses that crater as well. The cabins that are seen in the video were hit by debris and the blast that created it. These cabins belong to the Hoover family. The cabin with the garage door that is inside-out and backwards belongs to Barry Hoover. This is the real debris field that only FBI personnel were allowed to enter and which was kept secret from the public while we were told that the plane had been swallowed inside the crater in the mine. The first 75 seconds of this video contains rare footage showing some of the real debris field of Flight 93. Why was the existence of the real debris field kept secret from the public? 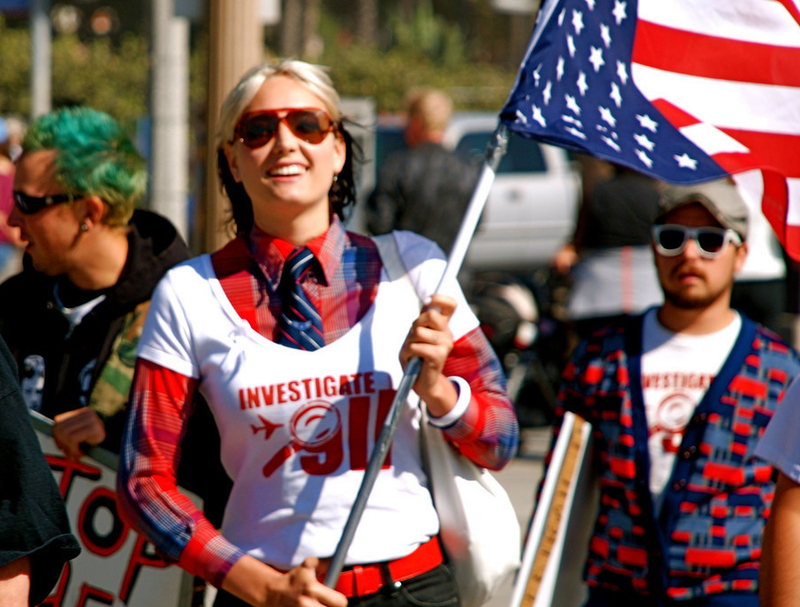 Zan Overall, a 9-11 truth activist, demonstrating on Pacific Coast Highway. Zan, "The Wise Old Man," in Santa Monica on Veterans' Day. 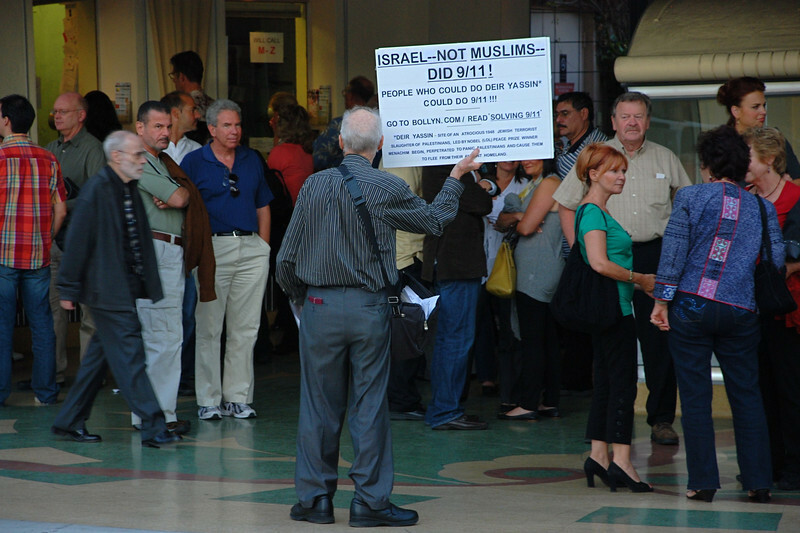 FANTASY vs REALITY - Zan confronts movie-goers in Los Angeles with 9-11 truth. One does not need to scrutinize every detail of the 9-11 saga to realize that the U.S. government and mass media are complicit in having deceived the people about 9-11 by lying about what really happened, and that based on their treasonous deception the nation was hijacked and taken into two costly and disastrous wars of aggression. As we now slide into the next prolonged presidential campaign, with the leading candidates chosen from America’s most notorious criminal families, 9-11 truth is the one issue that is not open for discussion because the same cabal that controls our mass media and sham elections is behind the 9-11 crime and cover-up. So, what’s a person to do? “What do we do now?” is the question I am most frequently asked after I present my Solving 9-11 research. 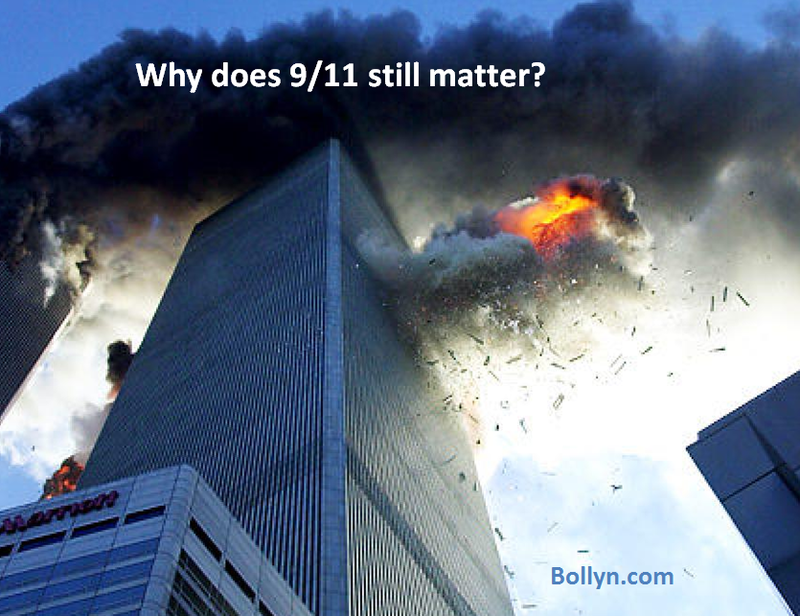 The fact that this question is asked so often indicates that this is the conundrum facing the 9-11 truth movement. 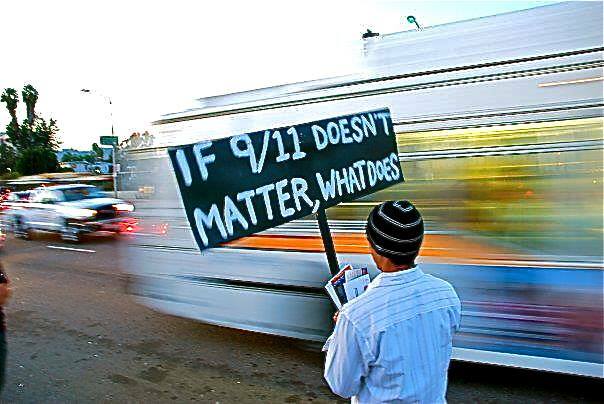 9-11 truth is, after all, a revolutionary movement, which is probably why so many balk at the idea of getting involved. While the average person may not understand the details of the false-flag deception that changed our world, they do understand that 9-11 truth presents them with an uncomfortable dilemma: to stick with the mass media and ruling regime in Washington or to join the truth movement which stands in opposition to the government about what happened on 9-11. Although the government’s demonstrably false narrative about 9-11 was used to take the nation into two wars in which millions of innocent people were killed and wounded, most Americans are reluctant to leave their personal comfort zone and take an anti-government stance that puts their status and financial well-being at risk. 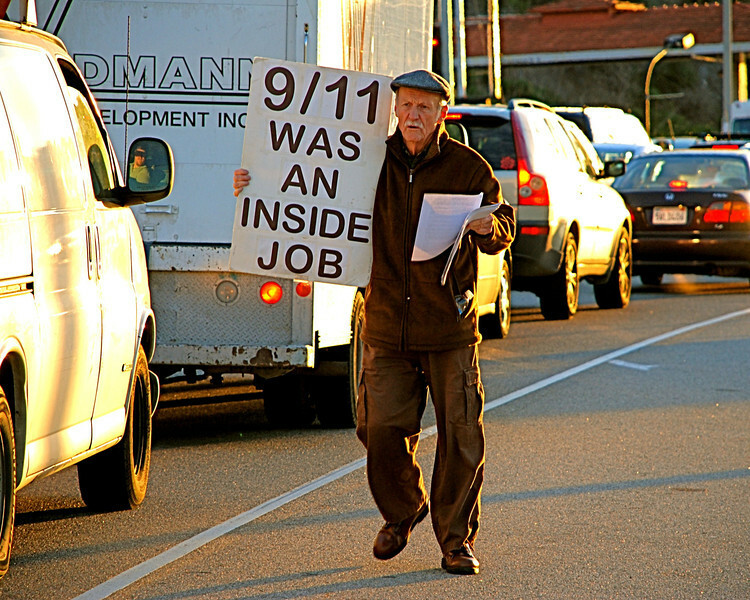 So, when people ask what they should do, I usually suggest that they help spread 9-11 truth among the people they are in contact with because awareness has to precede action. ZAN, THE WISE OLD MAN - George W. Bush took America to war in Afghanistan without providing any evidence that that nation hadanything to do with 9-11. Since then not one piece of evidence has been presented linking Afghanistan or Osama bin Laden to the terror attacks of 9-11. Likewise, Bush deceived the nation into war against Iraq without any evidence that it had weapons of mass destruction. 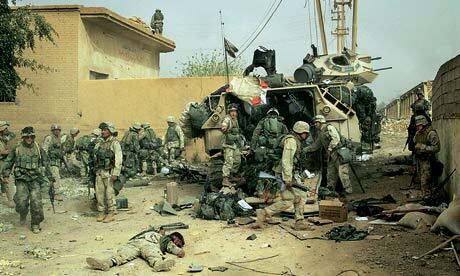 As we later learned, there were no weapons of mass destruction in Iraq - other than our own. These two criminal 'wars of aggression' cost the U.S. taxpayer TRILLIONS (i.e. thousands of billions) of dollars, meaning there is very little left for the people of the United States, and the interest payments on the borrowed trillions are yet another heavy burden on their backs. One of the key demands made by the 9-11 truth movement is for the government to conduct “a new investigation” of what happened on 9-11. This is certainly a reasonable demand but there are two problems: first, we need to understand that there was no proper forensic investigation to start with, and secondly, the entity that prevented an investigation of 9-11 is the same powerful anti-American cabal that controls the U.S. government, the White House, and the mainstream media. Another aspect of the 9-11 conundrum is how to obtain justice and prosecute the perpetrators of the false-flag terrorism and cover-up when the culprits are themselves in control of the financial and political regime that rules America. It should be abundantly clear that there is no political will within the ruling regime to even acknowledge the issues raised by the 9-11 truth movement. 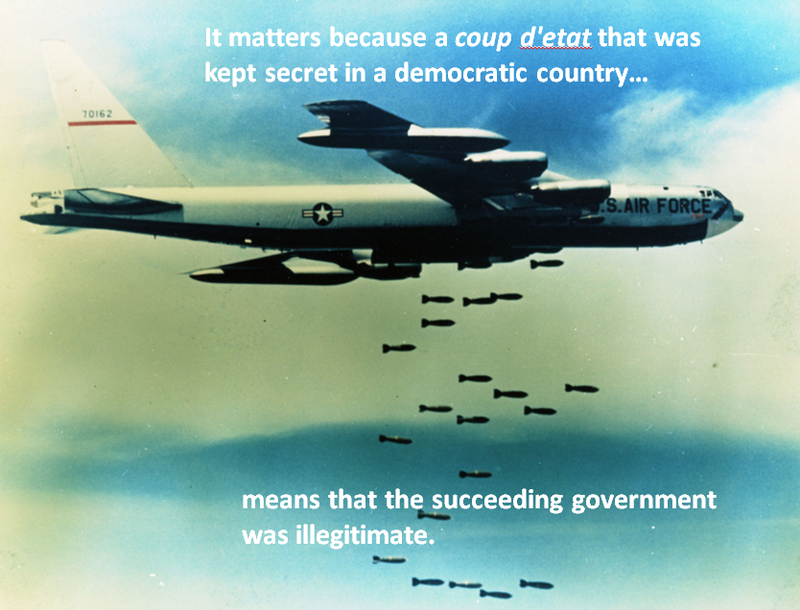 It seems, therefore, logical to conclude that this is because the regime in Washington is controlled by the very same people who carried out 9-11, managed the criminal cover-up, and foisted the deception on the nation. 9-11 truth is the pivot upon which American history will turn. The nation needs to go through a political catharsis in which the crimes of 9-11 are thoroughly investigated and the perpetrators and their supporters are purged and punished. The sooner this purge happens, the better. It is now more than 13 years overdue and the longer this necessary action is delayed, the worse our political predicament will get. I can’t say when the purge will happen or how it will come about, but it is inevitable. It is delusional to think that a new president selected for us by the criminal cabal that rules Washington will bring about meaningful change. The cabal will not purge itself and the culprits of 9-11 will never investigate their own crimes. It is, therefore, essential to understand that 9-11 truth is revolutionary. It is the pivot and the Achilles’ heel through which the criminal cabal that has hijacked the U.S. government will be exposed and purged, corrective actions which are long overdue but absolutely required for the restoration of the American republic. 9-11 Truth is a patriotic peace movement that stands up against the tyranny of lies imposed by corrupt politicians and the controlled media. 9-11 Truth Images by Mike Chickey. In my recent video, ”The Revolution Begins with 9-11 Truth”, I explain that 9-11 truth is the pivot, or turning point, upon which American history will turn. How the truth revolution unfolds and which way our history turns will depend, to a great extent, on how well the public understands the 9-11 deception. The future of the American republic will be largely determined by the degree to which the public is aware and conscious of the 9-11 deception and the identity of the criminal network behind it. The United States was created by the American Revolution, which was the political uprising that began 250 years ago, in 1765, when the American colonists rejected taxation by the British monarchy without the colonists having any representation in the government. The American Revolution started 10 years before the American War of Independence, which began in 1775 and lasted until 1783. Two-and-a-half centuries have passed since the beginning of the American Revolution and naturally many Americans have lost the revolutionary spirit of 1776. So, what do I mean when I say the revolution begins with 9-11 truth? What kind of revolution am I talking about? 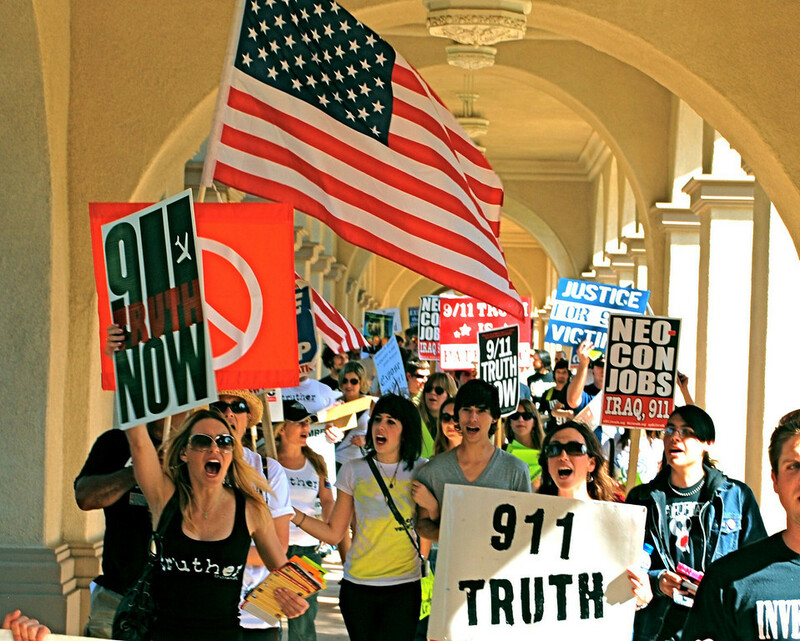 The 9-11 truth movement is a revolution of awareness and consciousness of the truth of 9-11. The truth movement rejects the tyranny of lies imposed on our nation by corrupt politicians and the controlled media. For fourteen years, the American people have been deceived by corrupt government officials and the controlled media about what really happened on September 11, 2001. Using fabrications and lies this cabal of traitors conspired to deceive the nation into two costly and illegal wars of aggression, killing more than a million innocent people and doing immense harm to the American republic. When people understand 9-11 truth, they realize that it is the most important political problem of our time. The enemy is all those who have been part of the 9-11 deception. This means the criminal network behind the 9-11 terror atrocity, the subsequent cover-up, and the political deception that was used to take the nation to war. 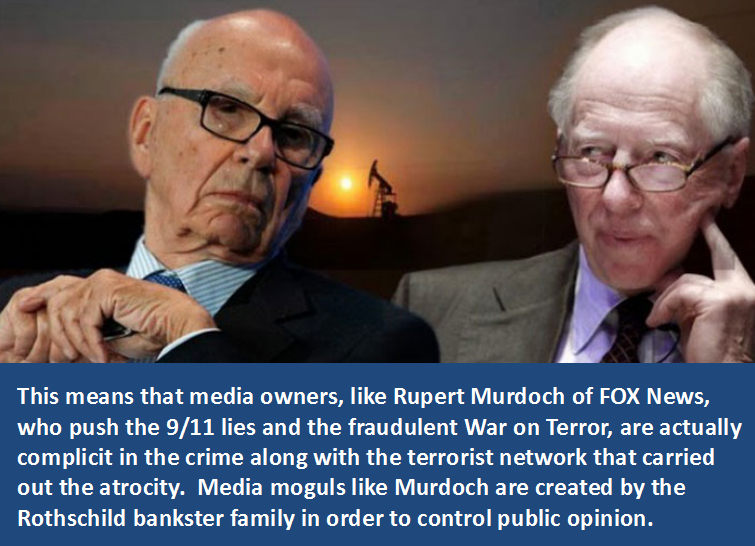 High-level government officials and media moguls who are part of this treasonous criminal network used lies and deceit to hijack our nation and take it to war in the Middle East. The truth movement demands a proper investigation of the 9-11 crimes, something which never happened in the first place, and an investigation and prosecution of the cabal that has hijacked our government. 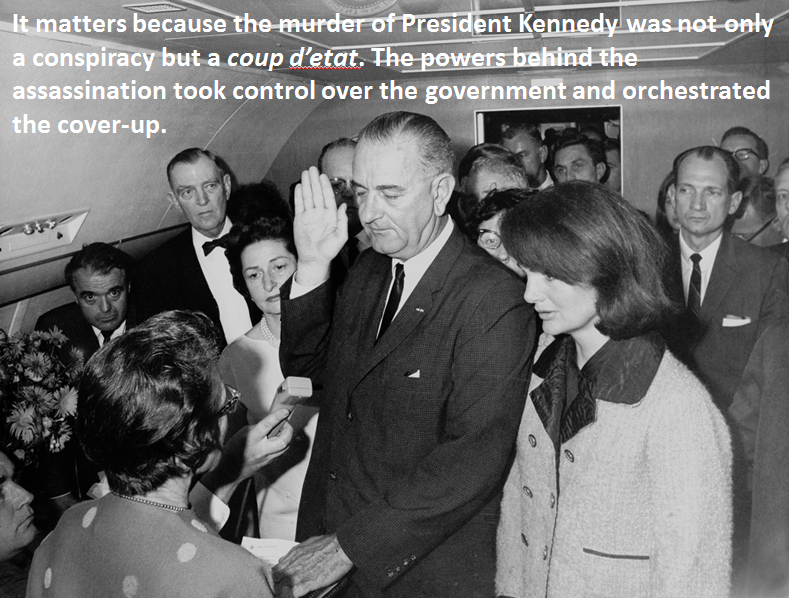 This same cabal also controls the mass media which is used to brainwash the population. The identities of the people who have lied about 9-11 are known. 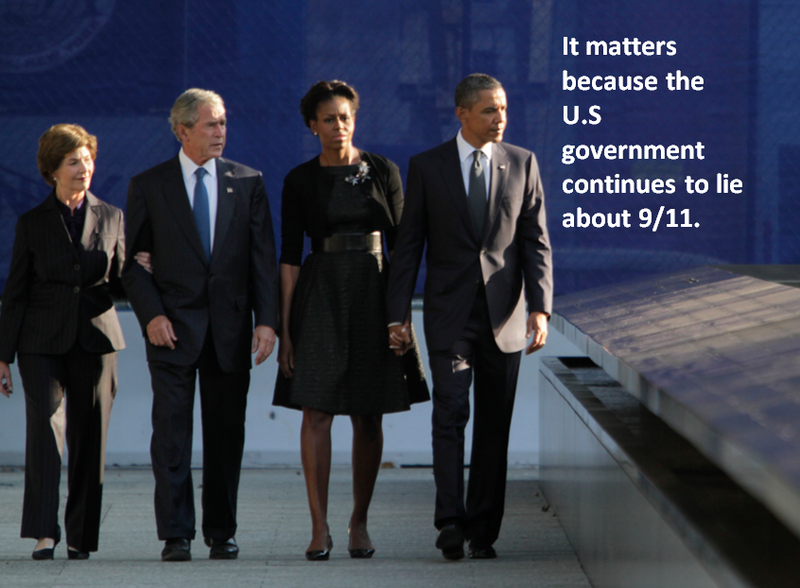 They need to be held accountable for being part of the 9-11 conspiracy to deceive the public. In order for the 9-11 truth revolution to succeed we need to identify the members of the criminal cabal. These people are terrorists and war criminals, because of their involvement in a conspiracy to wage a war of aggression. In order to prosecute the members of this criminal cabal we need to identify the individuals behind the lies about 9-11 and the deception that took us to war in Afghanistan and Iraq. 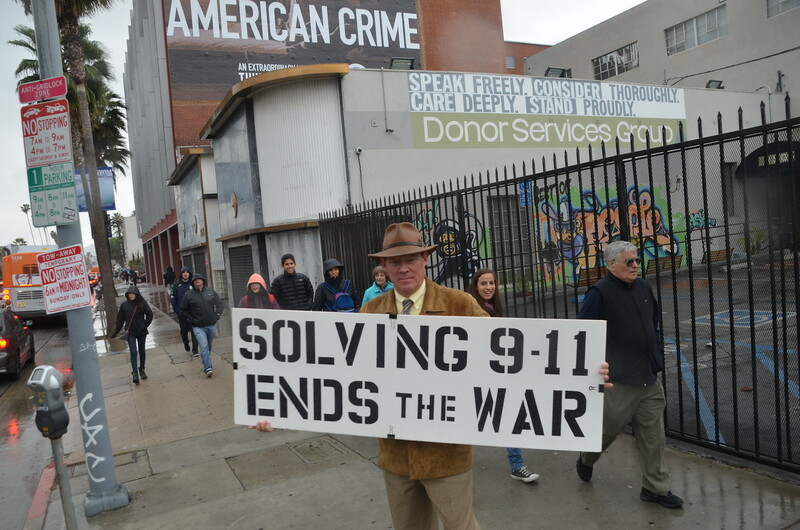 Identifying the criminals behind the 9-11 conspiracy is the focus of mySolving 9-11 books, Solving 9-11: The Deception that Changed the World and Solving 9-11: The Original Articles. As a researcher and writer who has been the target of numerous attacks by people who support the lies about 9-11, I am in a very good position to identify those who are opposed to 9-11 truth. It is not difficult to see who has promoted the lies about what happened on 9-11 and pushed the U.S. into war in Afghanistan and Iraq. In every single case, starting from the first attack against me by the Anti-Defamation League (ADL) of the B’nai B’rith in November 2001, I have found that the people who are working against 9-11 truth are Zionists by ideology and Jewish by ethnicity, or non-Jews who they employ or who are under their influence. “Zionism” means Jewish nationalism. Many of the government officials behind the 9-11 cover-up are Zionists, like Michael Chertoff. Having people with a loyalty to a foreign nation in positions of power in the U.S. government makes absolutely no sense and should be banned. In the case of Michael Chertoff, an Israeli dual-national, the loyalty problem is front and center. Chertoff was the Assistant Attorney General in 2001 and was the official responsible for the investigation of 9-11, a crime in which the state of Israel was implicated. Rather than investigate the evidence of Israeli involvement in the 9-11 crime, Chertoff allowed scores of Israeli terror suspects to be released and the crucial evidence to be destroyed, effectively thwarting a criminal investigation. Because of his direct role in the criminal cover-up, Chertoff should be one of the first traitors to be charged and investigated. ISRAELI AGENT Michael Chertoff is the Israeli dual-national who oversaw the destruction of 9-11 evidence and prevented a proper criminal investigation from being done. 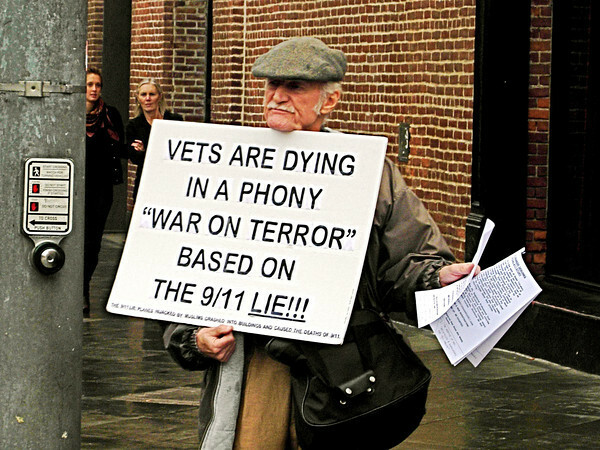 The 9-11 truth movement is gaining ground every day as more and more people become aware of the deception that was used to take us into two illegal and disastrous wars in which more than a million people were killed. As people learn the truth about what really happened on 9-11, the pack of lies pushed by the government and controlled media becomes obvious and people become filled with rage against those who have betrayed their trust and deceived them. The Internet and digital technology give us the ability to communicate and share information like never before, freeing us from the mainstream media’s long-held monopoly over information. The development of new digital technology coincided with the growth of the 9-11 truth movement, giving the truth movement a global forum it would have never had prior to the digital revolution. The anti-truthers, on the other hand, dominate the “old media”, such as network television, radio, and controlled newspapers, where the unseen hand of the media mogul controls and censors the information that is presented. The old media, however, is losing its power over public opinion. 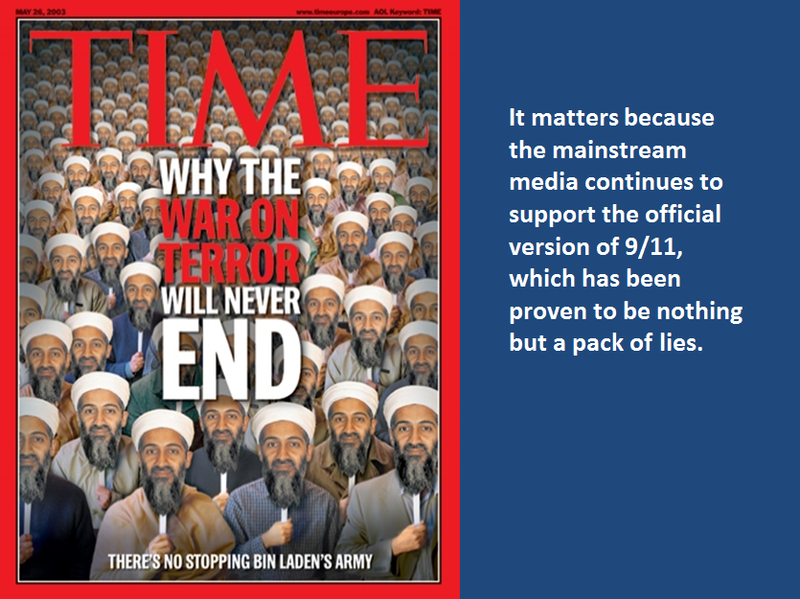 The truth of 9-11 will prevail over the lies in the same way that the new media has largely replaced the old media. Those who have supported the lies about 9-11 and worked against the truth movement find themselves on the losing side of history. There is no way their lies can prevail over the truth. The time will come when they will be held accountable for their treason against the American republic. What we can do to hasten that day is inform ourselves and spread the truth to other people, increasing every day the number of people who are aware and conscious of 9-11 truth. We cannot sit on the fence and let others deal with the problem; we have to engage ourselves in this patriotic struggle for our freedom and the future of the American republic. In the run-up to the U.S. elections in November 2016, we can see that discussion of 9-11 truth is so bothersome to some people that it is completely banned in two very powerful realms of society: the media and politics. 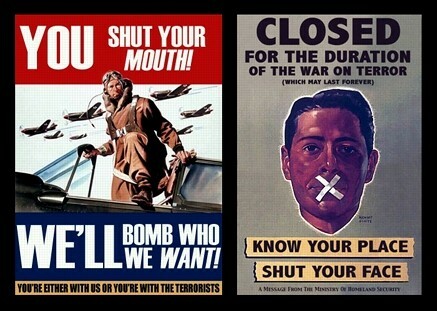 Within the political establishment and controlled mass media the ban on discussing 9-11 truth is universal. A good example can be seen in how two journals described how presidential candidate Donald Trump responded to a very simple question about the events of 9-11. After his main speech, and after a quick address to his overflow room, Trump stood for 28 minutes of reporter questions. He referred to producers who had covered him before by their first names. He even took two questions from a 9/11 Truth activist, Rick Shaddock, who had somehow made it into the press conference. “The World Trade Center?” asked Trump. IS THIS A FIRE INDUCED GRAVITY COLLAPSE? In today's tightly controlled political discourse, it is forbidden to discuss what really happened on 9-11. Why is that and who does it benefit? An editor at Mother Jones, a left-leaning magazine from California, which is supported by George Soros, took the exact same position as Donald Trump, calling Shaddock an “outrageous conspiracy theorist” for simply asking an important common-sense question about the explosive “collapses” of the Twin Towers, unexplained events which took the lives of some 2,800 innocent people on 9-11. But, why is discussing 9-11 truth taboo and what does it say about our political predicament? 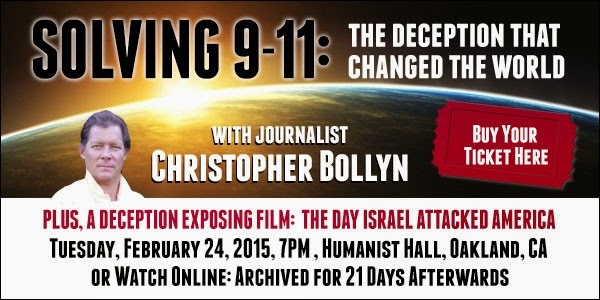 Christopher Bollyn explains why American politicians will not discuss 9-11 truth in "The Revolution Begins With 9/11 Truth". The government and media have lied about what happened on 9-11, and through their treasonous deceit our nation was hijacked and taken into two very costly wars, which in reality were wars of aggression. As we slide into the next presidential campaign, with the leading candidates chosen from America’s most notorious criminal families, 9-11 truth is the one issue that is not open for discussion. Our politicians avoid 9-11 truth because the criminal cabal that is behind the 9-11 atrocity and cover-up also controls our mass media and sham elections. So, what does this say about Donald Trump? Trump seems willing to take on all kinds of thorny political issues but won’t go near 9-11 truth. Why won’t he? Why won’t Trump address the most serious political issue of our time? Is he also under the control of the criminal cabal that pulled off 9-11? Unfortunately, that seems to be the case. Trump is playing a role, apparently the role of the wrecker, but the question remains, why does he avoid 9-11 truth? Donald Trump is the front-man for the Israeli Michael Dezertzov (left) and his son Gil (right). Why is Trump working with Israelis and what does that say about his ability to speak freely about what happened on 9-11? A PACT WITH THE DEVIL? 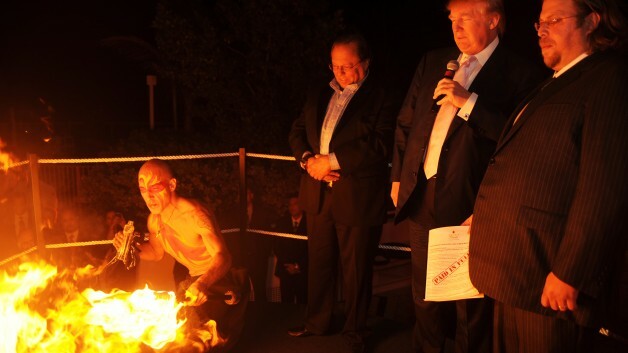 Donald Trump and his Israeli partners staged a hellish act to burn the mortgage for the Trump towers they had built in North Miami. The first question that comes to mind when we look at the properties of Dezertzov is where does the money come from? How does an Israeli come to America and become a wealthy developer without having any visible source of wealth? Where do all the ill-gotten gains of the Israeli drug cartel go, anyway? Secondly, the Trump towers in Sunny Isles Beach are right across the street from the Wings store, the Israeli owners of which met with with Israel's deputy prime minister Ehud Olmert in New York City on September 10, 2001 – the day before 9-11. The logo of the Wings store is the “wings” of the Israeli Air Force. Although Ehud Olmert was then mayor of Jerusalem, the sister city of New York City, his visit was kept secret and out of the news. Why? If Trump were truly a free and patriotic American he wouldn’t balk or be afraid to address the unanswered questions about 9-11. The fact that he doesn’t discuss 9-11 indicates that he is under the influence/control of those who carried out the false-flag atrocity of 9-11. It seems that his Israeli connections are the most reasonable explanation for his anti-truth position about 9-11. "9/11 - Flight 175 Was Not A Commercial Aircraft" is an excellent video that discusses one of the key deceptions of 9/11: that the aircraft that struck the Twin Towers were not the commercial aircraft that we were led to believe, American Airlines Flight 11 and United Airlines Flight 175. This 12-minute video is highly recommended viewing. "9/11 - Flight 175 Was Not A Commercial Aircraft "
Updated with David Chandler's analysis of audio evidence of explosions. David Chandler's analysis of the sounds heard in the background reveals a series of nine explosions, just as we hear in the two videos presented below. It was fairly obvious to most people that the Twin Towers were demolished with explosives on the morning of 9-11. Then, at about 5:20 p.m. in the afternoon, a third tower - one block away from WTC 1 - fell straight into its footprint. The evidence that this tower, the 47-story WTC 7 - owned and built by Larry Silverstein - was demolished with explosives is quite obvious. The following 47-second video clearly shows explosions going off seconds before the building fell. Some people claim that the footage in this video is fake, but the sounds of the nine blasts: two followed by seven more all within 3 seconds is exactly what David Chandler found in his analysis of the blasts picked up in a television interview on MSNBC. 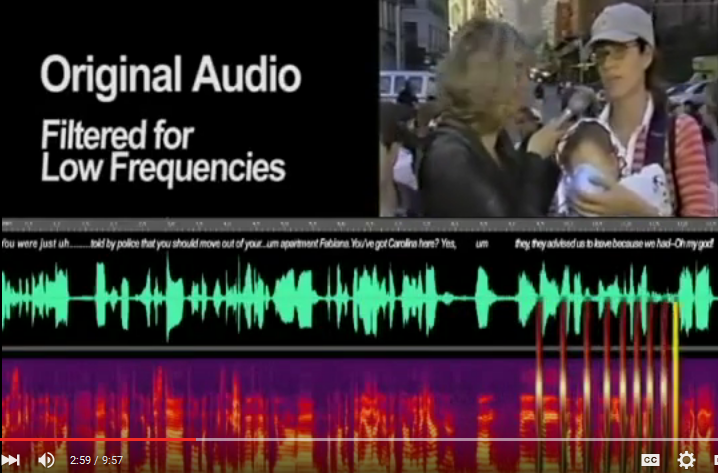 For that analysis go to 2:30 in Chandler's video, "WTC 7 Sound Evidence for Explosions," the second video below. Furthermore, other videos show flashes occurring inside windows that have broken. This is why I say that while a person named Ed Current says he made a fake video using this footage, his faked video does not mean that the footage itself is not authentic. Rather it seems clear that Current's video was an attempt to try and discredit the real evidence of explosions seen and heard before WTC 7 fell straight down into its footprint. For fourteen years the traitors who control our government and mass media have lied to us about everything that happened on 9-11. Isn't it time we held them accountable for their crimes? For a federal official to cover-up a crime of this magnitude is treasonous. If we investigate the people who have covered-up the crime we will find those who did it. They are, after all, working hand-in-hand. Isn't it time? Last year, when I had a book table at the Northern California 9-11 Truth Alliance event in Oakland, people in the audience wanted the organizers to let me speak, even if for just 5 minutes, but there was obviously very strong resistance within the group that prevented that from happening. Ken Jenkins, one of the organizers, then told me that I would be invited to next year’s event, which is the one that happened yesterday. I was not invited to this year's 9-11 event, but Ken organized a separate event for me on February 24, 2015, in Oakland. Now, I understand what I was not being told: Ken Jenkins organized the separate event because the resistance within the Northern California 9-11 Truth Alliance to hearing what I have to say was so strong that he knew I would not be invited to their 9-11 commemoration event this year. Unfortunately, on www.noliesradio.org and their live broadcast streaming in San Francisco today with the Northern California 9-11 Truth Alliance - sf911truth.org, I am hearing none of who done it, none of what to do about what next, none of Christopher Bollyn, who does; nothing but stale ole info, which furthers nothing forward. What's up with that? is what I wonder. Minister Louis Farrakhan does not only speak about it, but he has outlined what we will do on 10.10.15 about it. This is not my opinion; it is my experience working in the field for many years. This is the Time and What Must Be Done, and I regret that you are not moving the matter forward, progressive as you want to think you are. I find myself disappointed in you, Allan Rees. "TO TELL YOU THE TRUTH, I GOT THE JEW CALL." In his book, Lies and the Lying Liars Who Tell Them, Sen. Al Franken admits to having been warned not to go to work at the World Trade Center on 9-11. 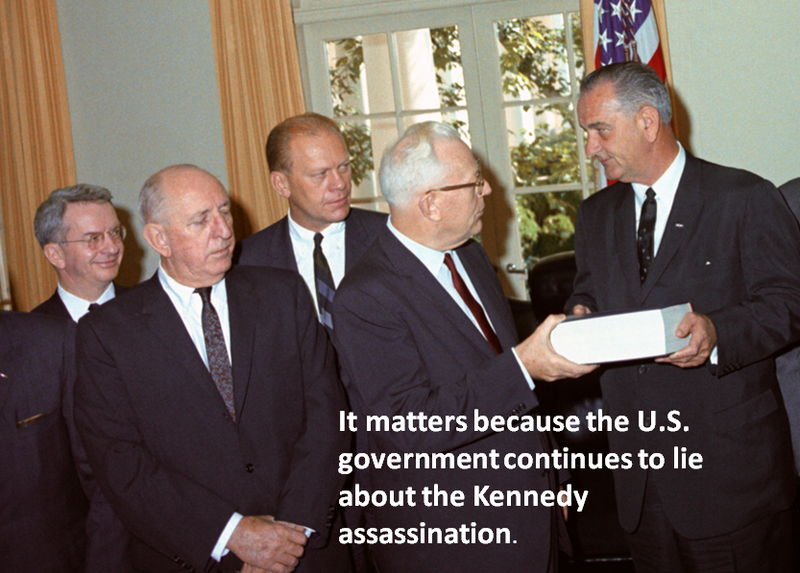 Why have the government and "free press" in the United States not investigated this report? 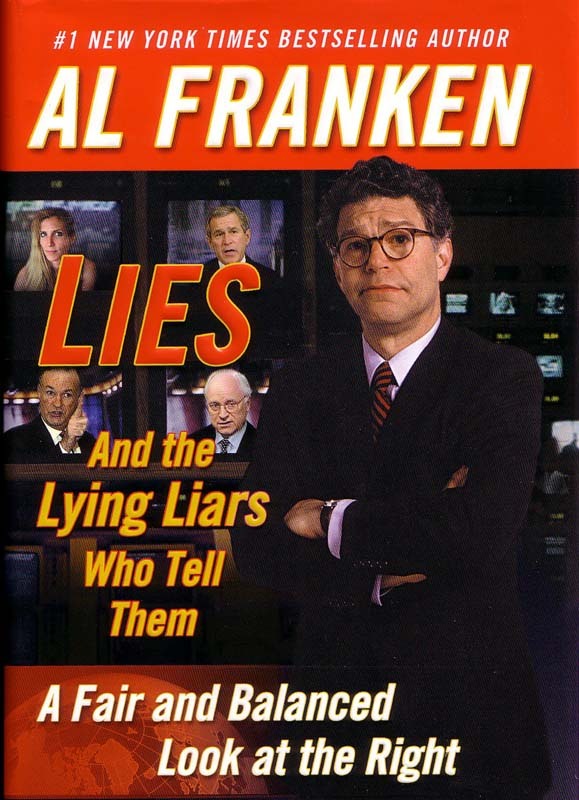 Senator Al Franken admits in his book, Lies and the Lying Liars Who Tell Them (2003), that he received a call from the former mayor of New York, Ed Koch, warning him not to go to his office in the World Trade Center on 9-11, using the Hebrew calendar as a reference for the date, which was September 11, 2001. Franken refers to this warning call as the "Jew call." "Al", he told me, "don't go to work on the twenty-third day of Elul." Al Franken may have been a comedian who went to Washington, but this is not funny. 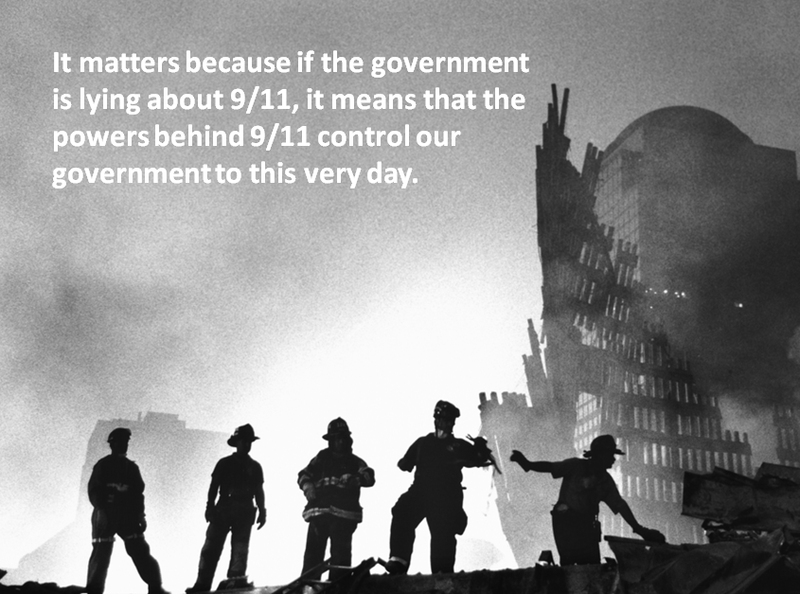 Being forewarned about 9-11 is a criminal matter. Calls to Sen. Al Franken's office in Washington at (202) 224-564, were not answered, although they were made during working hours. Furthermore, Franken's press secretary, Michael Dale Stein at (202) 224-4645, did not answer either his office phone or his mobile phone during business hours. Stein's mobile phone said the mail box was empty so messages could not even be left. The text from Franken's book is clear: he was warned in advance by Mayor Ed Koch, a fellow Jew. The 23rd day of Elul was September 11, 2001. Make no mistake, the press is beholden to the money power in this country, which is centralized and flows directly from the Fed to the banks to the people in charge of the media… The American media is a collection of so-called reporters who are intelligence agency assets, foreigners, and lobbyists who work for capital intensive operations financed by a clique of international bankers who have a long-term goal of dissolving the United States as a sovereign nation. As awful as the terror atrocity of 9-11 was, it is really just a symptom of a more serious problem. For Americans, the most serious aspect of 9-11 is that, for more than fourteen years, the government and media have covered up and deceived us about what really happened. Since September 2001, these two pillars of our supposedly democratic republic have used flagrant lies and fabrications to drag our great nation – and others – into a massive criminal fraud known as the “War on Terror” – at great expense to the American people and republic. This is, by far, the most serious aspect of the 9-11 atrocity because it proves that the U.S. government and media are not serving the American people, but are actually completely under the control of the criminal terrorists who carried out 9-11. What could be more serious than that? That’s the problem; so, how do we solve it? Logic tells us that our government and media are subservient to the criminal network behind the 9-11 atrocity, but we need more information to understand the nature of that criminal network. This is where a new book by Brian O’Brien, entitled The Tyranny of the Federal Reserve, is most helpful. Written in a very straight-forward and easy-to-read style, The Tyranny of the Federal Reserve (438 pages) explains how the international bankers based in the City of London and New York have hijacked the United States and taken us into the dire straits where we now find ourselves as a nation. “The three policies that are critical to the goals of the international bankers are free trade, mass immigration, and American interventionism abroad,” and O’Brien does a great job explaining how these policies are destroying our American republic. O’Brien also clearly explains what needs to be done and how we can extricate ourselves and our nation from the clutches of the international bankers. This is a very timely book that deals with the most important political problem facing the American people – the future of our republic. 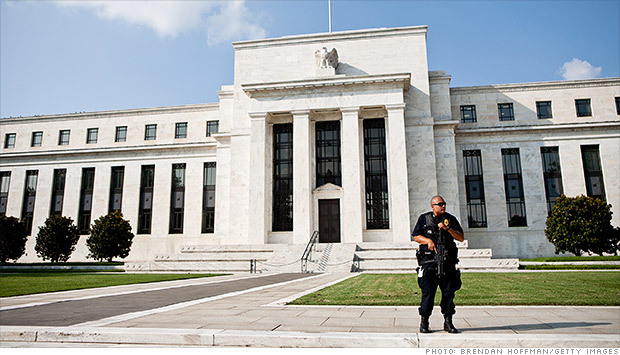 The building of the Federal Reserve System in Washington, D.C. 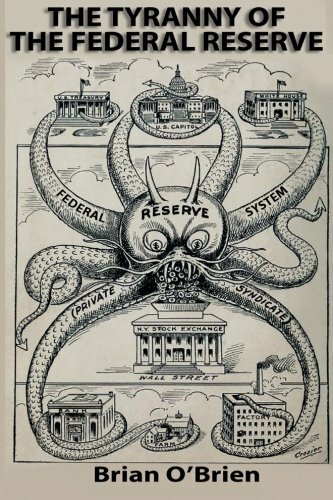 The "Federal" reserve is really an organization of private bankers and is not an agency of the U.S. government. The Fed needs to be audited, shut down, and replaced with a truly national bank that is overseen by the people of the United States. 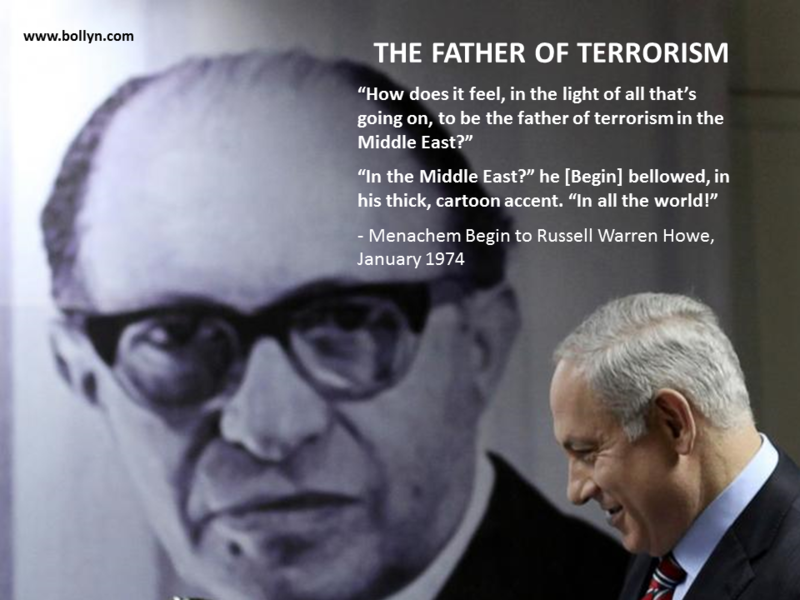 THE FATHER OF TERRORISM - Menachem Begin, the terrorist founder of Israel's ruling Likud party, bragged about being "the father of terrorism in all the world." The Likud party is now headed by Benjamin Netanyahu. The "War on Terror" is a Zionist fraud based on lies, deception, and illusion. He [Pinhas Lavon] inspired and cultivated the negative adventuristic trend in the army and preached the doctrine that not the Arab countries but the Western Powers are the enemy, and the only way to deter them from their plots is through direct actions that will terrorize them. - Israeli prime minister Moshe Sharett in 1955 writing about Pinhas Lavon, defense minister during the “Lavon Affair,” an Israeli false-flag terrorist bombing campaign against U.S. and British agencies in Egypt, July 1954. The “War on Terror” is a massive fraud based on deception and illusion. As long as Western governments and societies allow themselves to be deceived about the true nature of terrorism, the “War on Terror” and the threat it is meant to eradicate will only get worse. For our political leaders and media to go along with false-flag deceptions and to flail away at phantoms is to ensure that the “War on Terror” will go on for a very long time. The only way to liberate ourselves and our nations from this madness is to expose the true source of terrorism. So, here we are, fourteen years after 9-11, having waged two wars of aggression in which millions of lives have been ruined, having endured the imposition of draconian “anti-terrorism” legislation, and having wasted trillions in the “War on Terror” – and still there is no end in sight. In spite of all this effort and money spent, the threat of global terrorism seems to gaining strength every day, as we can see from the recent downing of the Russian plane in the Sinai and the attacks in Paris. Clearly, we must be doing something wrong. It should be obvious to anyone who thinks about terrorism and the global “War on Terror” that we have utterly failed to understand and address the root causes of terrorism. This is true whether we are talking about false-flag terrorism, such as 9-11, or real ‘terrorism’, such as what we see when Palestinians take up arms against the Israeli occupation. In the latter case, our leaders and the so-called “international community” have completely failed to address the grievous injustices suffered by the Palestinians living under Israeli occupation since 1948. The day after the recent attacks in Paris, Margot Wallstrom, the Swedish foreign minister, appeared on Swedish TV and explained how the Israeli occupation was at the root of Palestinian violence, saying, “… you come back to situations like that in the Middle East where not least the Palestinians see that there isn't any future (for them). (The Palestinians) either have to accept a desperate situation or resort to violence." 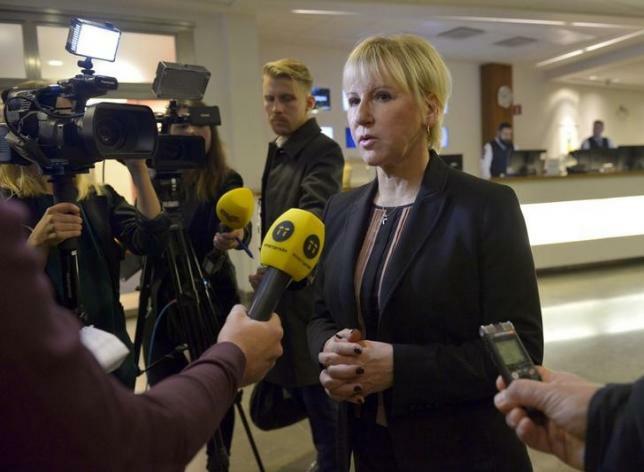 SWEDEN'S MARGOT WALLSTROM - "...the Palestinians see that there isn't any future (for them). (The Palestinians) either have to accept a desperate situation or resort to violence." Unfortunately, there are few politicians in the Western world who are willing to articulate such common-sense truths, and even fewer who are willing to do something about it. Because the global community has failed to put pressure on Israel, the Zionist occupation has grown and intensified creating an unjust situation that produces violence, as it will until an equitable solution is found. As for false-flag terrorism, such as 9-11 and other atrocities, there is an appalling lack of moral courage on the part of world leaders to stand up and say that we have been deceived about what happened on 9-11. The failure on the part of our political, religious, and academic leaders to challenge the false narrative of 9-11 has enabled the fraudulent “War on Terror” to go on, at great expense to our nations and societies. Rather than demanding an investigation of 9-11 and working from what the evidence proved, our leaders allowed themselves to be deceived into war based on false media reports and lies from government officials. The fact that the ‘crime of the century’ was not even investigated as a crime does not seem to disturb the political and media elites in the United States. A false narrative was prepared ahead of time, as were military assets, and the war in Afghanistan began before the dust had even settled at the World Trade Center. The French military response after the recent attacks in Paris was even hastier, coming only two days later. Today, fourteen years after 9-11, the terrorism that we are experiencing is beginning to look very much like that depicted in the Israeli-produced film, Brazil. This film, produced in 1985 by Arnon Milchan, Israel’s super-agent in Hollywood, is set in a bleak society in the future where senseless acts of terrorism occur frequently as the government wages war against terrorists in some distant land. Why did Milchan make this movie? Where did he get these ideas from? Arnon Milchan between his friend Shimon Peres (left) and Benjamin Netanyahu, the promoter of the "War on Terror" and current prime minister. 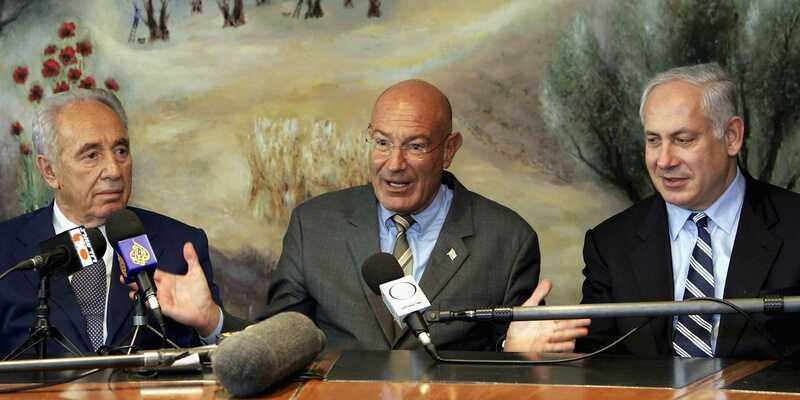 We need to understand that Arnon Milchan is not just another Mossad agent in Hollywood; he is at the very top of the Israeli state intelligence/criminal network. In the Israeli-written biography, Confidential: The Life Of Secret Agent Turned Hollywood Tycoon (2011), it is revealed how Milchan was involved in espionage, big-ticket arms-dealing, and obtaining sensitive technology and materials for Israel's nuclear weapons program. Arnon is a special man. It was I who recruited him… When I was at the Ministry of Defense, Arnon was involved in numerous defense-related procurement activities and intelligence operations. His strength is in making connections at the highest levels… His activities gave us a huge advantage, strategically, diplomatically and technologically. The authors established that "at least through the mid-1980s [Milchan] was a full-fledged operative for Israel’s top-secret intelligence agency, Lakam. His activities included "buying components to build and maintain Israel’s nuclear arsenal" and supervising "government-backed accounts and front companies that financed the special needs of the entirety of Israel’s intelligence operations outside the country." MOSSAD'S MAN IN HOLLYWOOD - Milchan "...was a full-fledged operative for Israel’s top-secret intelligence agency, Lakam" and was involved in criminal smuggling of components to build and maintain Israel’s illegal nuclear arsenal, yet he has never been arrested and charged. Milchan clearly occupies a position at the very top of Israeli intelligence. Although he was at the center of an operation that smuggled hundreds of triggers for nuclear bombs to Israel, he was never prosecuted, while the people beneath him were. The terrorism in Milchan’s film Brazil made in the 1980s shows amazing prescience of our world today. 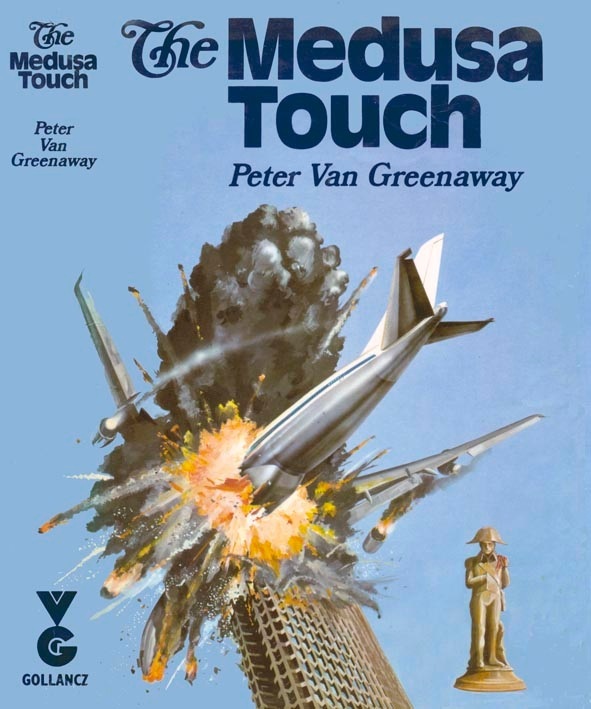 Milchan showed similar prescience of the events of 9-11 in his first film, The Medusa Touch (1978), in which a Boeing 747 crashes into a skyscraper. Later, in 2000, a remotely-hijacked aircraft is flown into the World Trade Center in the pilot episode of “The Lone Gunmen,” a television series produced by Arnon Milchan’s close friend and business partner, Rupert Murdoch. THE IDEATION OF 9-11 - Arnon Milchan's first film, The Medusa Touch (1978), featured a Boeing 747 crashing into a skyscraper. It seems that beginning in the late 1970s, senior Mossad agents began projecting the idea of attacking New York City's tallest towers with planes. Arnon Milchan, the Mossad Mogul of Hollywood, didn't dream up these terror scenarios on his own. 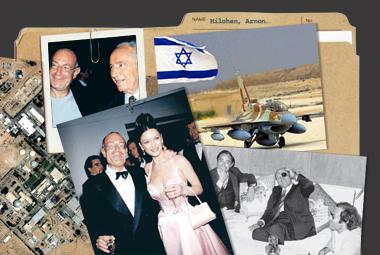 These plots are based on what Milchan knew about the future plans of Israeli intelligence. He is, after all, a very close personal friend of Shimon Peres, the godfather and chief architect of Israel’s high-tech military and unlawful nuclear arsenal. As I prove in my Solving 9-11 books, the false-flag terrorism of 9-11 was an Israeli idea from the beginning, first articulated by a former head of the Mossad in the 1970s. 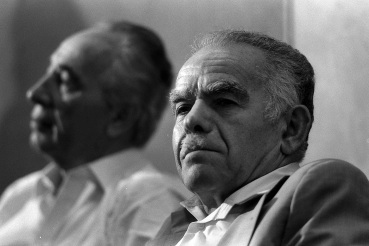 At the same time that Isser Harel was describing how Arab terrorists would attack the tallest towers in New York City, Benjamin Netanyahu was holding an international conference of Western leaders in Jerusalem (1979) to promote the global “War on Terror.” Both concepts are the products of Israeli strategic planners. Today, Benjamin Netanyahu is the prime minister of Israel and his fraudulent “War on Terror” is in full swing. Western nations, including France, who seek to overthrow the elected government of Syria, are lining up to bomb a besieged nation that is virtually defenseless. The French military has now reacted to an unsolved act of terrorism by bombing Syria, as the United States bombed Afghanistan in October 2001 – without presenting any evidence to prove that the true source of the Paris attacks is from Syria. The day after the attacks in Paris, French President François Hollande said, "An act of war was committed by a terrorist army, DAESH [ISIS], a jihadist army, against France… An act of war prepared, planned, from outside, with outside complicity which an investigation will establish." This is almost identical to statements from U.S. leaders after 9-11 who took the nation to war saying that evidence to support their case would be presented in the near future. In the fourteen years since the invasion of Afghanistan, however, we have not seen one piece of evidence linking the Taliban with the events of 9-11. Our government and media were willing partners in the criminal deception that took the U.S. military into Afghanistan. From the little we know about the terrorists in Paris, there is certainly not enough evidence to warrant a massive bombing campaign in Syria. 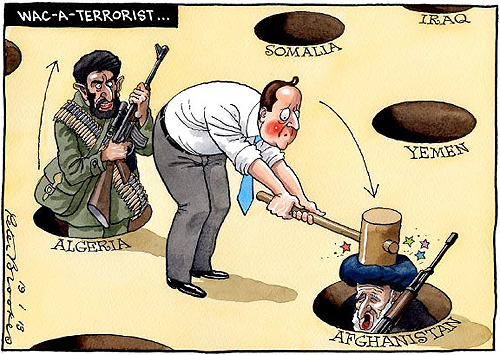 For all we know the terrorists could have been controlled by a non-Syrian agency who wants France to bomb Syria. Now that the French police have killed Abdel Hamid Abaaoud, the Moroccan-Belgian who is said to be the mastermind of the attacks, there will be less information available to find the true source of the terrorism. We can’t accept that our leaders take our nations to war based merely on deceptions and illusions. We will never end terrorism and the fraudulent “War on Terror” by lashing out at the terrorist Bogeyman and destroying nations in the process. The only way to end the fraudulent “War on Terror” is by exposing who is really behind terrorism and ending the deception. Note: If you appreciate my articles, please support my research and writing. 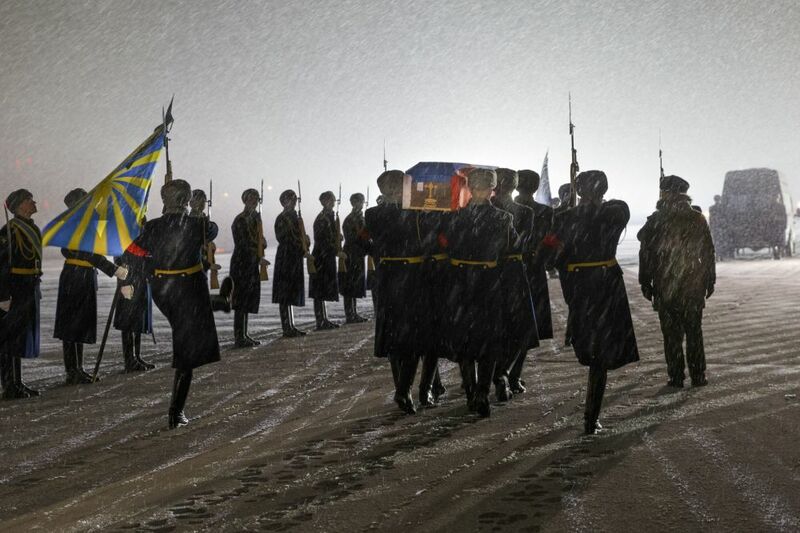 Russian honor guard carry the coffin of Russian pilot Lt. Col. Oleg Peshkov at a military airport outside Moscow. Peshkov was shot in his parachute after his plane was downed by a Turkish F-16 fighter jet on November 24. I admire what you do. If we all live 20 years more without a thermo-nuclear war destroying everything, you and few other brave individuals will definitely be appreciated and remembered for what you have done as the world's greatest heroes. 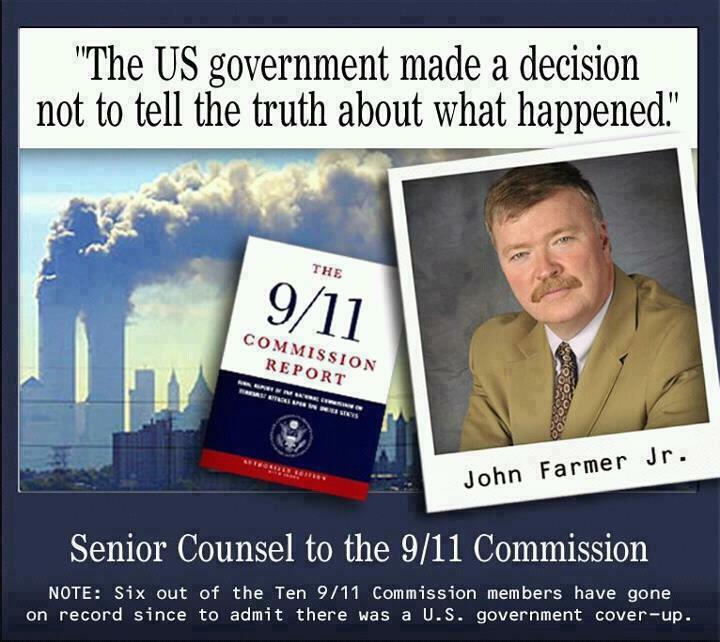 What you do will one day bring the disclosure of 9/11 truth to more people, and if it happens early enough and the perpetrators feel enough pressure to step aside (or be prosecuted), then the total death scenario can be avoided – saving all of us as a result. If the current masterminds of 9/11 remain in control, however, it is only a question of time when they decide on a perfect moment to have a global "re-set" to the system. You say "Solving 9/11 ends the War." "Solving 9/11" – you and a few others have accomplished this already through years of hard work. The next hurdle is the cognitive barrier, the inability of millions of adults to accept the reality that it actually did happen, and that the authorities in many countries need to be challenged to do something minimally acceptable to restore justice. To most people, to accept this truth is like dealing with a hypothetical situation to learn that the mom and dad you lived with all these years are actually not your real parents, but rather criminals who pretend to be your parents for some pure financial gain or other benefit, and who feel nothing wrong about killing you at some point if that maximizes their final benefit. Instead of continued comfortable life....what are you going to do now? Go to the police? Move out, find another place to live? Run to neighbors and ask for help? Go and kill the bastards at night? Or maybe ignore the guy trying to tell you this truth as an insane lunatic, and come back to comfortable everyday life. Completely new thinking, new insights are needed to overcome it. When does the information, the knowledge of truth become compelling for an average person living in the western world (and Russians mentally are not very different from it, unfortunately) to act and to seek a minimal next step to be done? I have no solution for this, and before it emerges, what you and few others are doing about 9/11 truth, is our only chance to survive. Thank you for what you do and all the best wishes as well! HOLLYWOOD - Christopher Bollyn's one-man demonstration outside the Oscars, February 22, 2015. ... I have been aware of the deception since 2005. When it turned out there were no weapons of mass destruction in Iraq, and the media (after spending several months pounding us with fears of an impending WMD attack) said nothing, I knew there was something very wrong. Within a few weeks of independently researching, I came across a video of building 7 and that was enough proof of a false flag for me. Given what I have been learning over a decade and what I thought was extensive (albeit casual) research, I'm shocked that I have only now come across your work. You have been de facto persona non grata in the alternate media it appears. I have thoroughly enjoyed the meticulousness of your research and I am now especially motivated to exercise my critical thinking when getting my information. 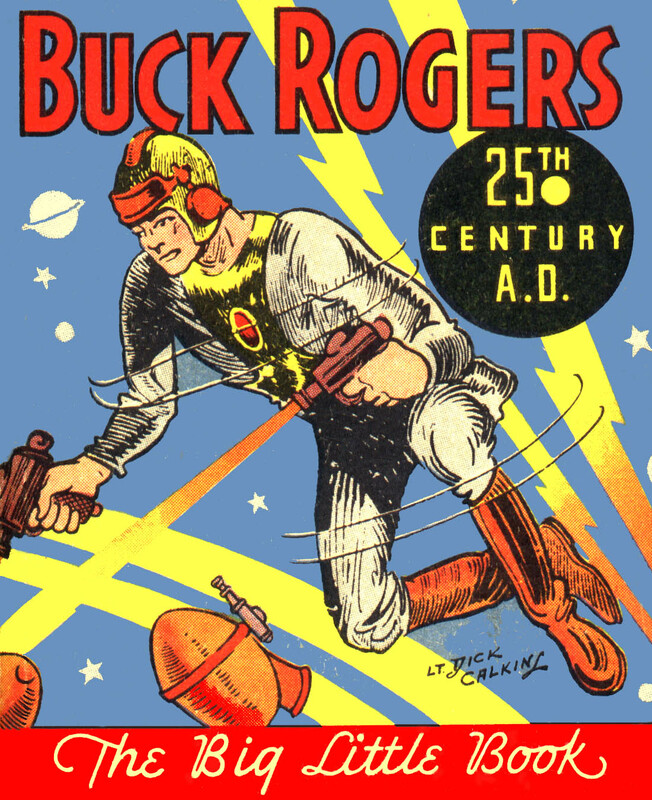 I'm a little embarrassed to say that I spent time engaging in the Judy Wood free energy (or Buck Rogers space gun as you have hilariously put it) and the "Russian Intelligence" nuclear demolition theories. In hindsight, even a little critical thinking would have exposed these as disinformation - as there are no sources or peer reviewed evidence. But hey, if my dumbass now can finally understand the nature of disinformation, maybe it shows that TPTB are finding it harder to be the controlled opposition. 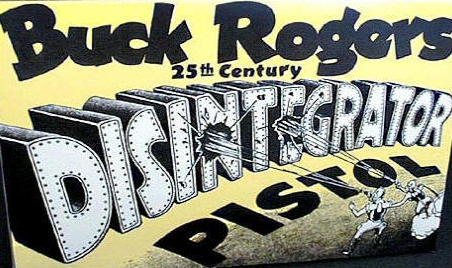 Judy Wood's 9-11 theory is similar to Buck Rogers Atomic Disintegrator Pistol. I grew up mostly in Africa and India where the governments consistently screw the citizens pretty much on a daily basis - so maybe I'm predisposed to distrust governments. I have now been in the US for 15 years and it’s painful to see how naive Americans are. Not just naive, but aggressively so - because if there is any discussion outside of the mainstream narrative, there is usually a violent reaction. My dream was to come live in America - but now that I'm here, I'm having second thoughts. Maybe the truth will set Americans free from the intellectual zoo that they trapped in (and I ain't just talking about the Kardashians). It is rare that I come across a bold, cultured, intelligent, and brave patriot like you who is willing to speak truth (based on researched and verifiable facts) regardless of taboo. I can't imagine how difficult the last 14 years have been for you and your family. I'm grateful for the work you have put in and I hope we will soon see the fruits of your efforts. And it may come soon, since the economy is in bad shape - another great recession and Americans may be forced to turn off college sports and finally sit up and take notice of what is going on around them.